of the smart city of opportunity. 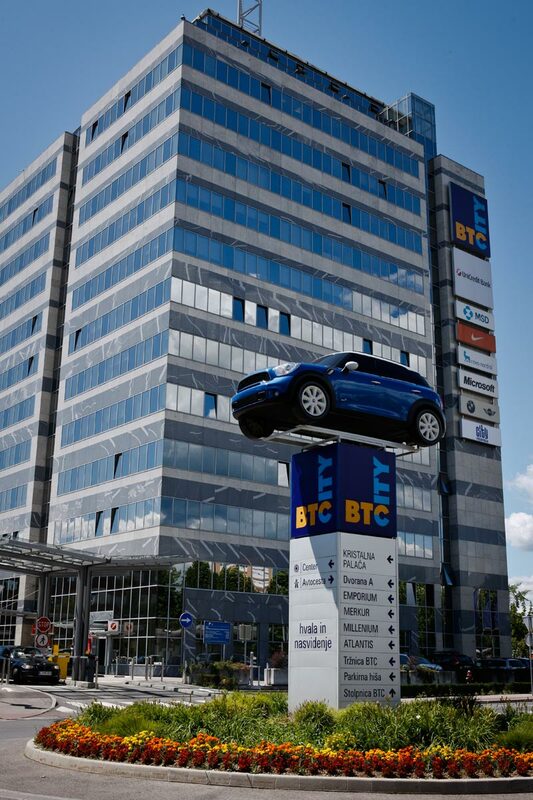 Under the unique »smart city concept« and top of mind national brand name BTC City, BTC Company operates one of the largest shopping, business, leisure, and innovation centres in Europe, located in Ljubljana, the capital of Slovenia. 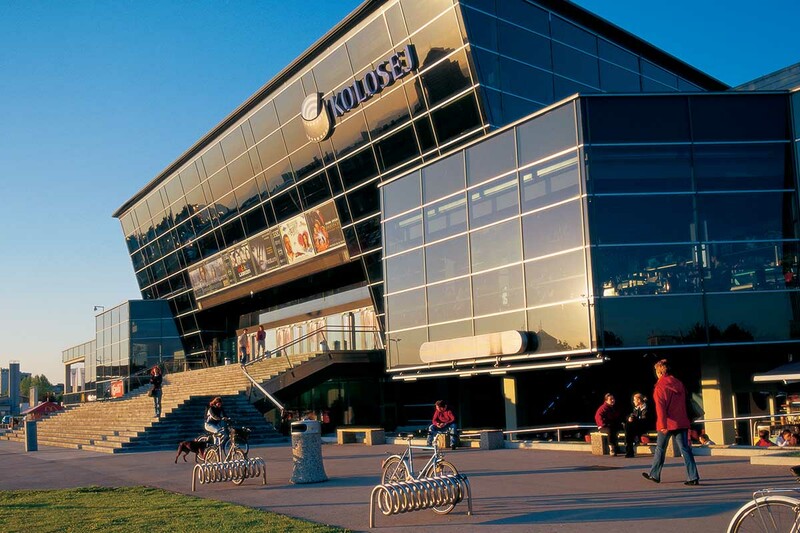 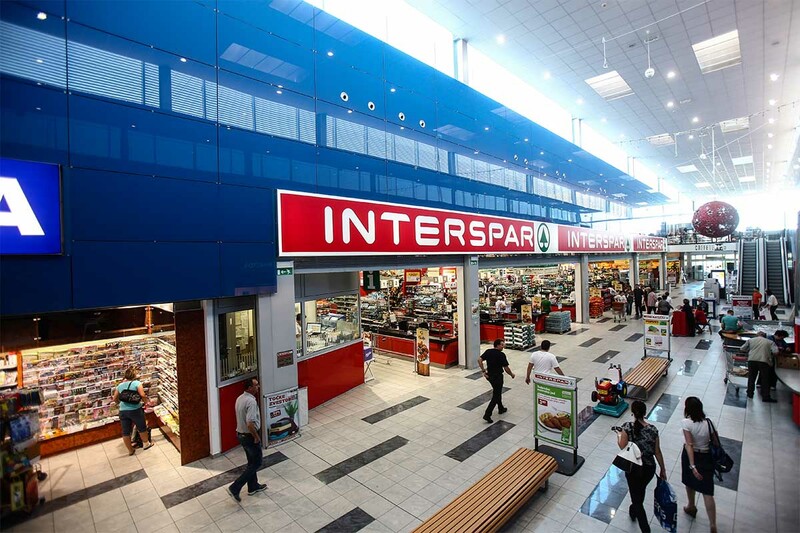 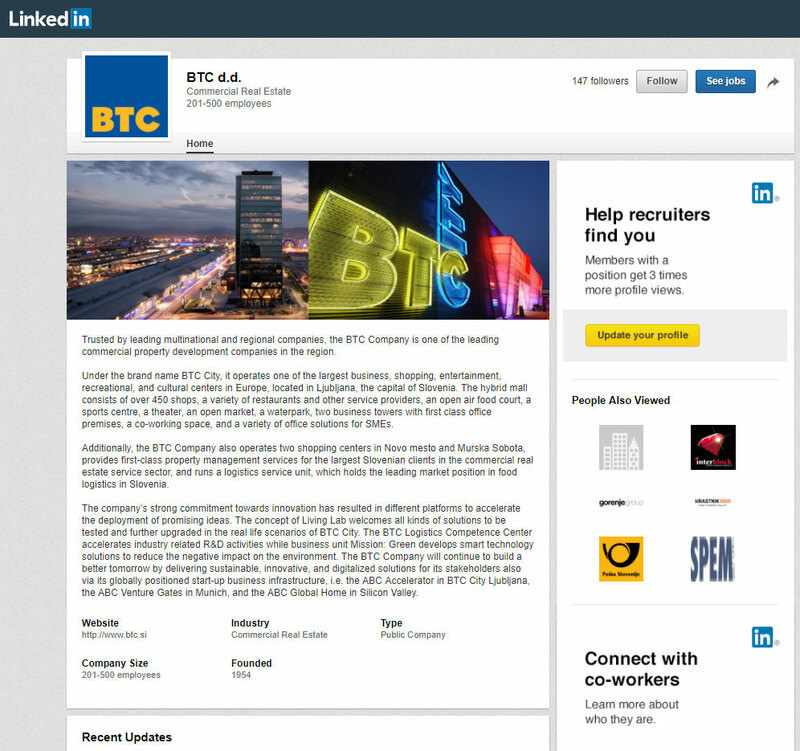 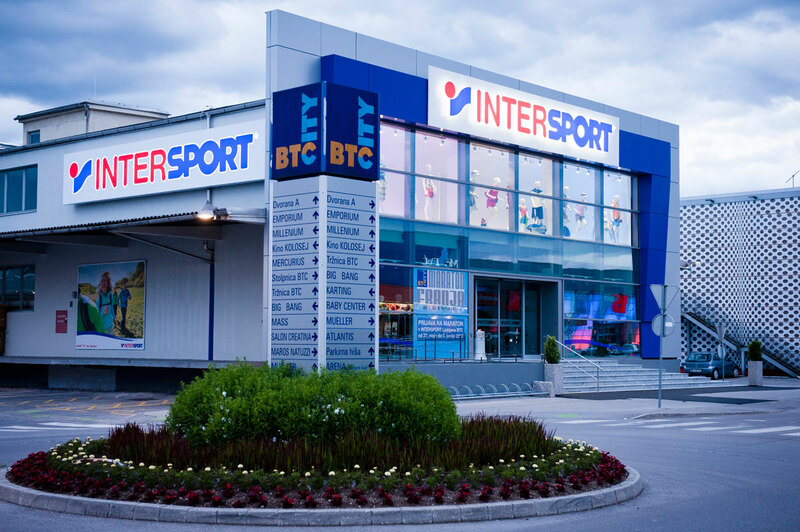 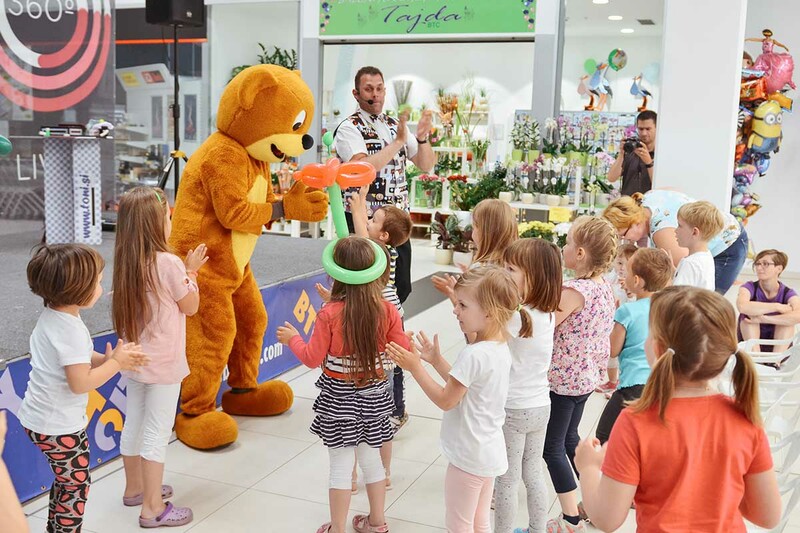 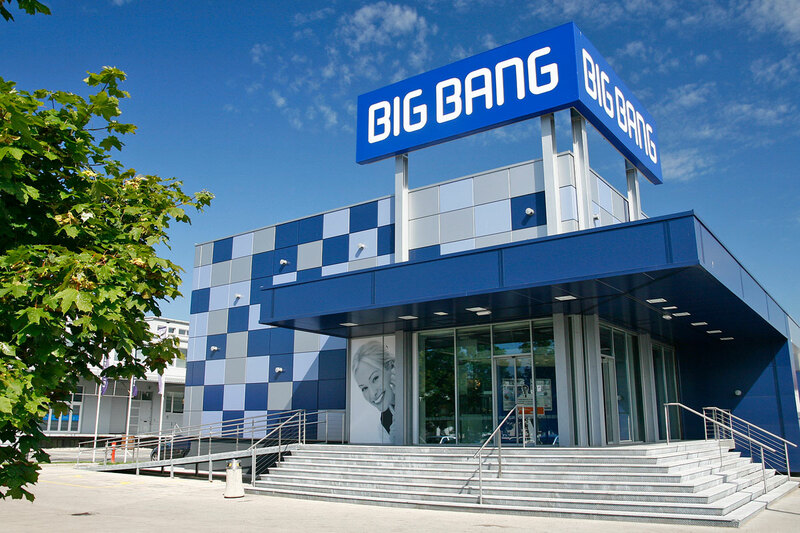 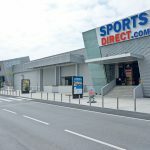 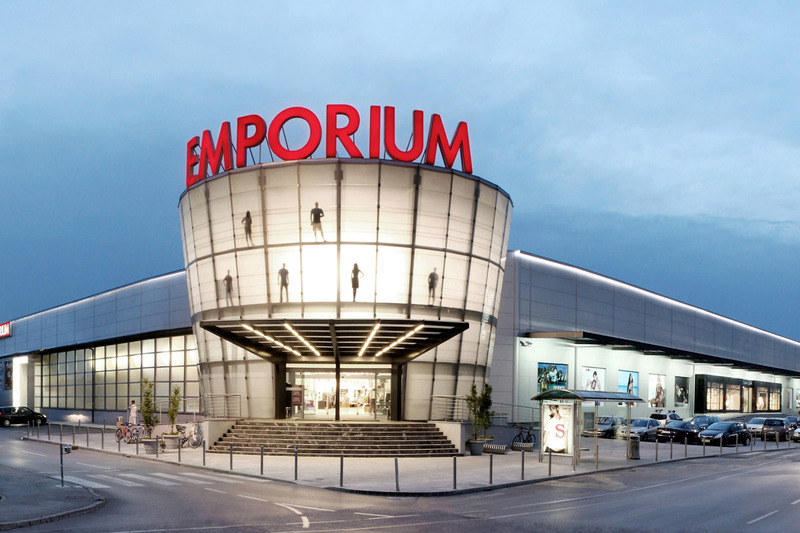 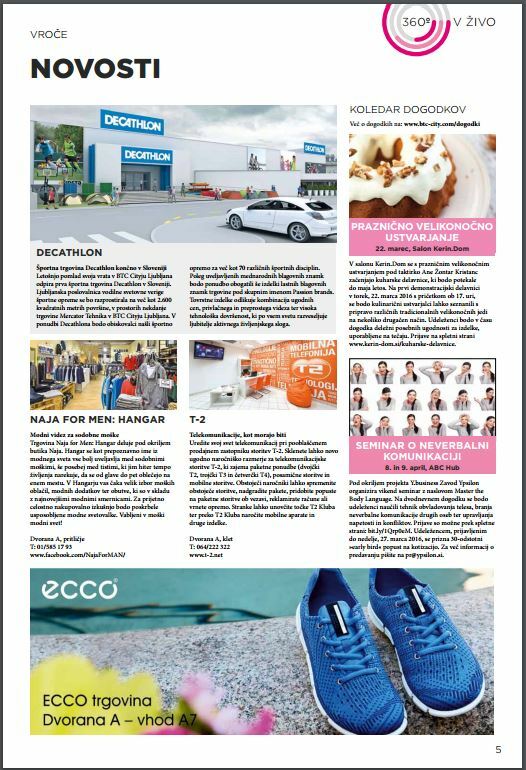 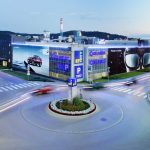 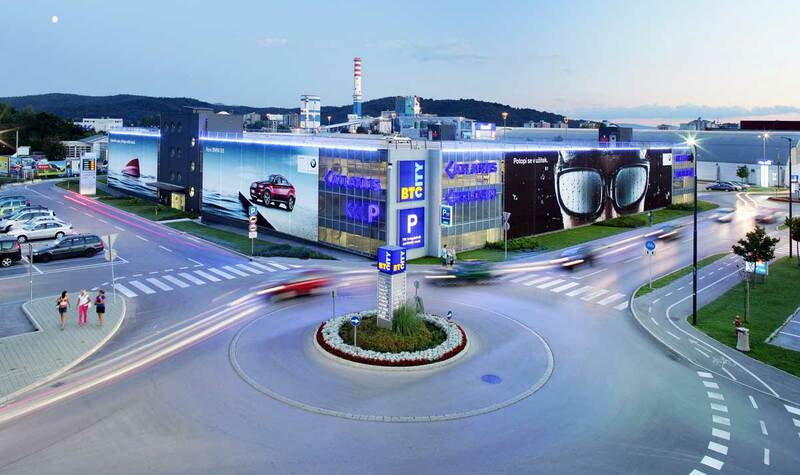 Additionally, BTC Company also operates two shopping centres in Novo mesto and Murska Sobota. 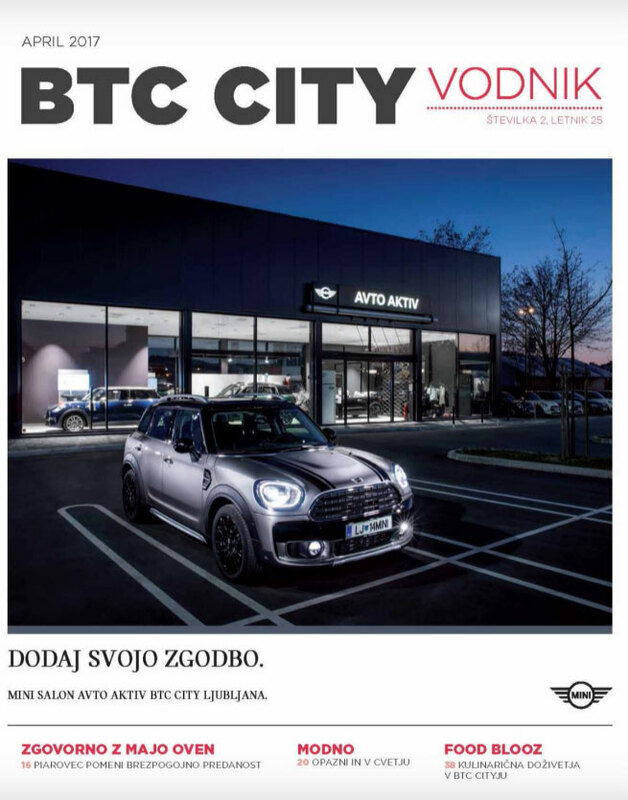 Not one, three cities of opportunity. 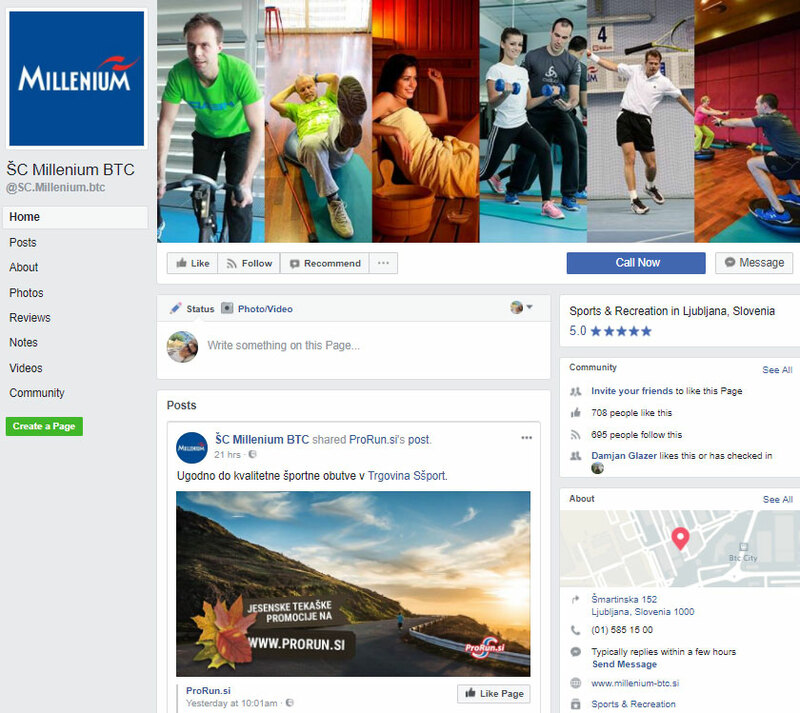 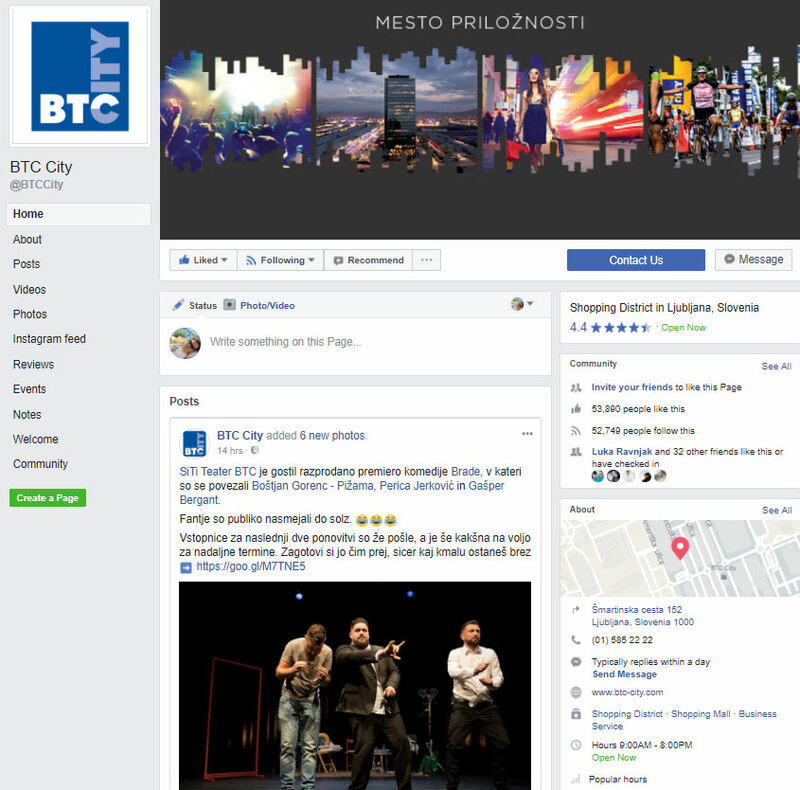 BTC City Ljubljana is famous for being the largest and most popular European business, shopping, recreational/leisure and cultural centre that is visited by over 21 million visitors. 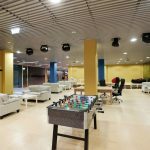 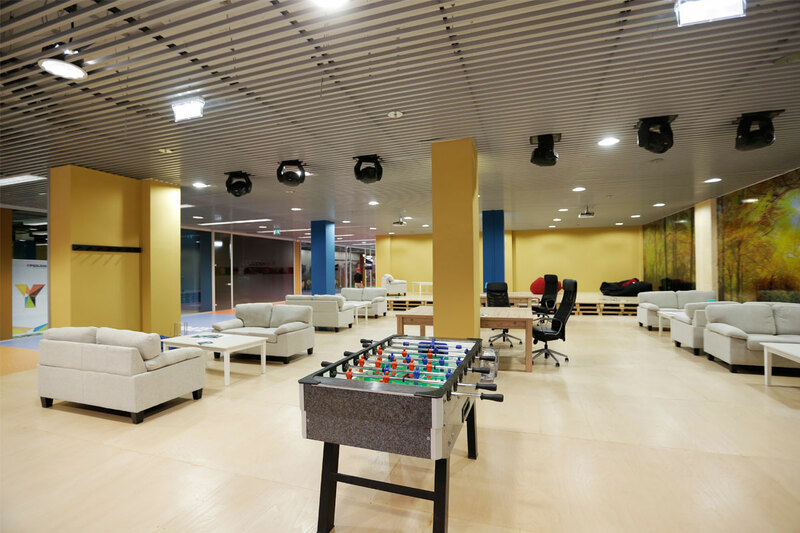 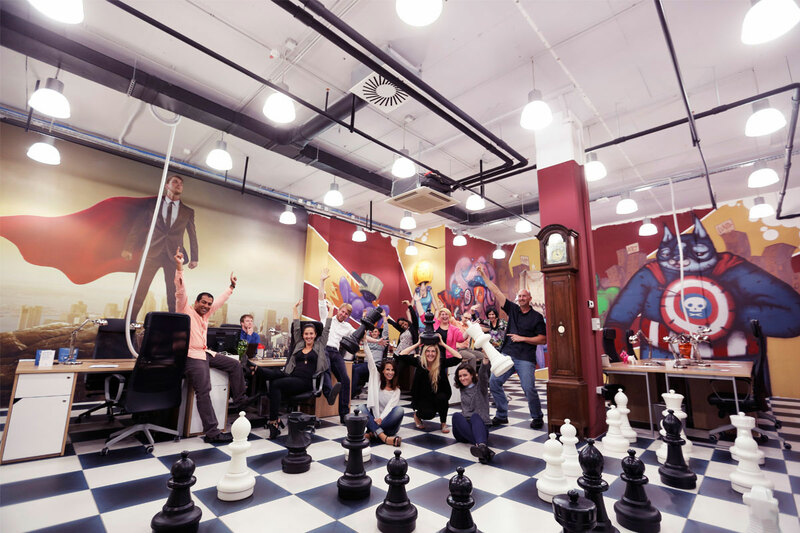 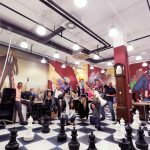 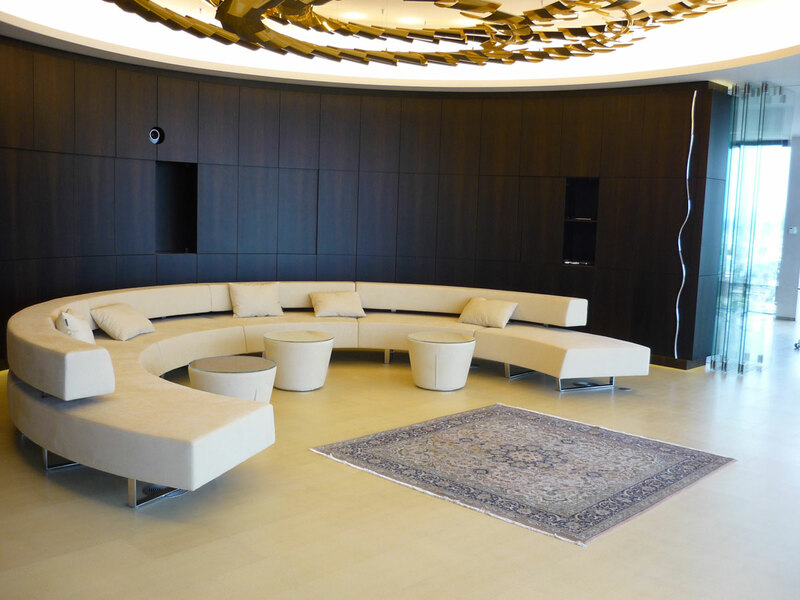 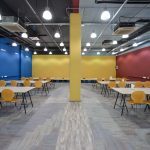 The international centre is becoming an increasingly attractive place to relax and have fun, an increasingly indispensable and irreplaceable part of daily life. 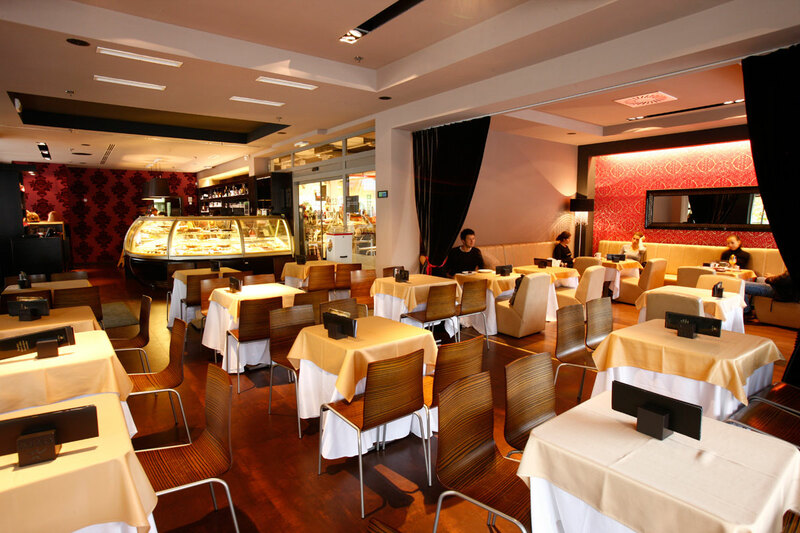 Find your place in the company of the best. 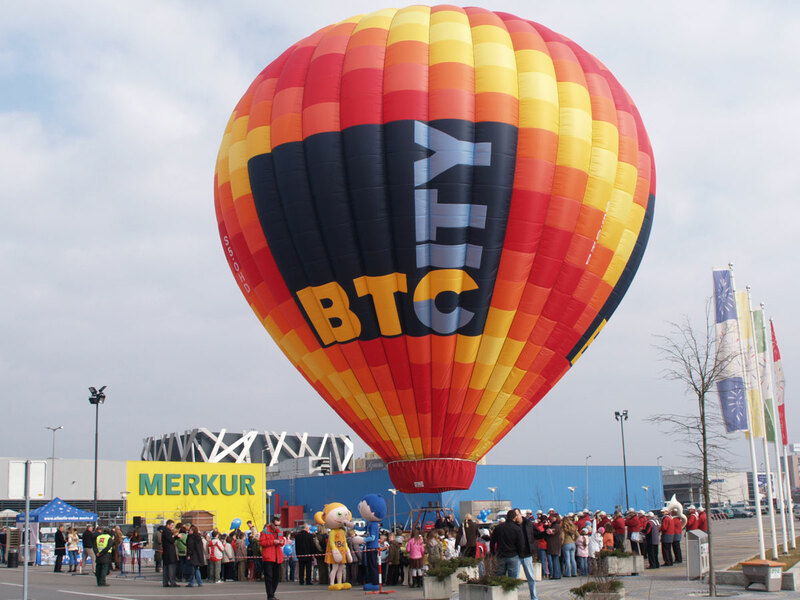 BTC City, business opportunities in the right place. 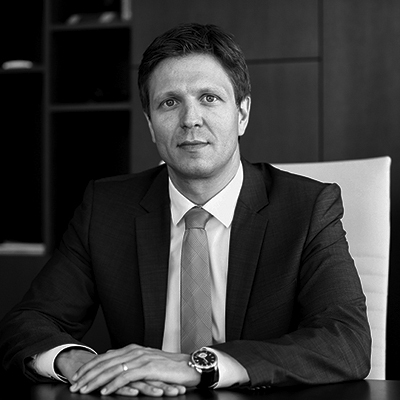 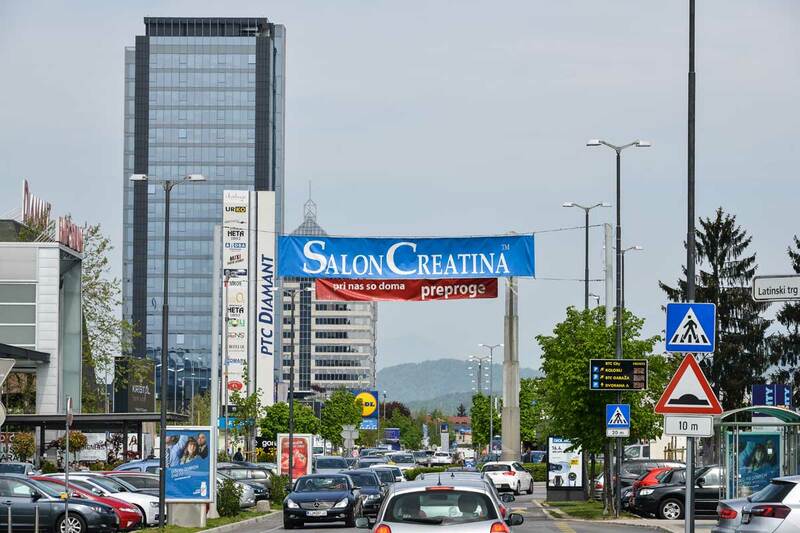 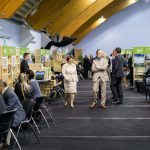 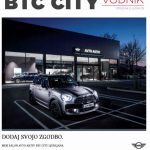 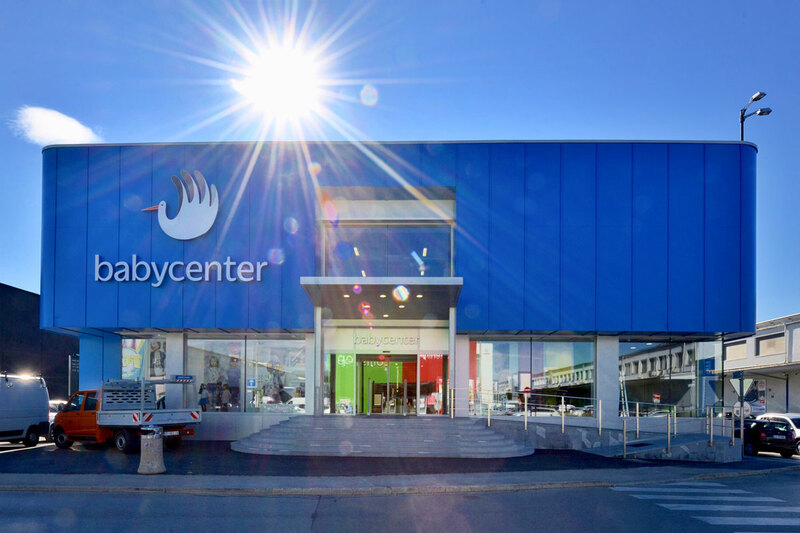 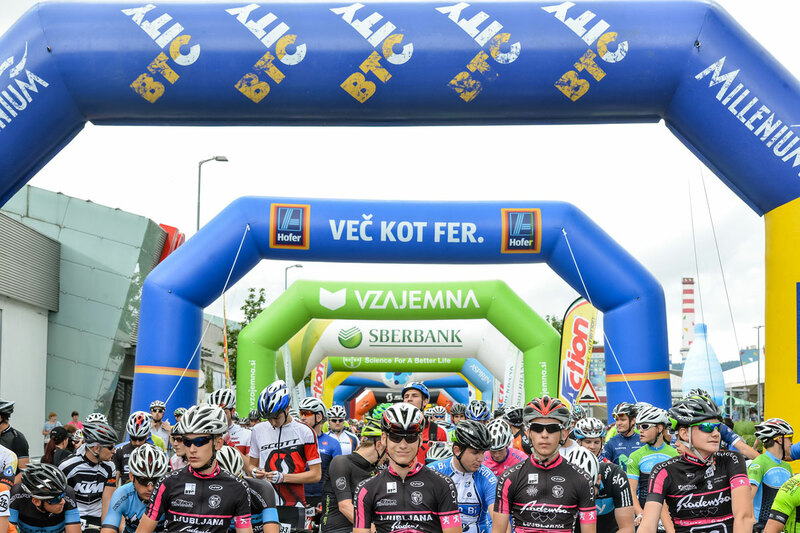 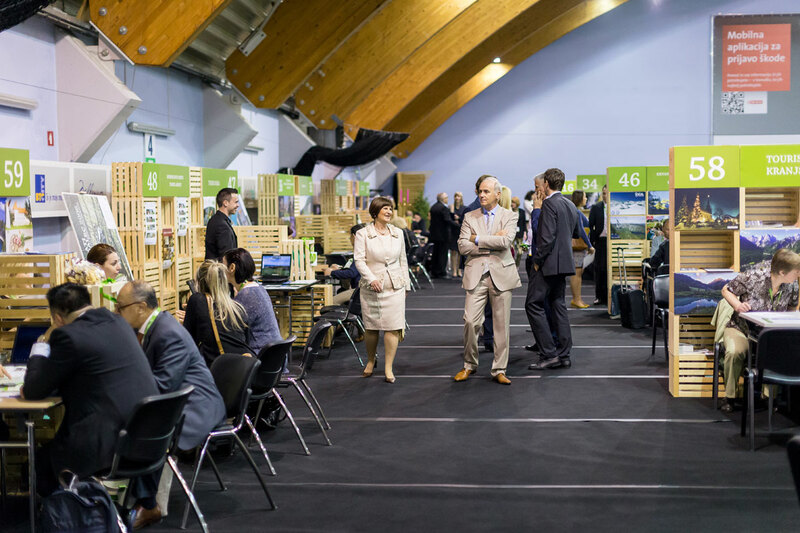 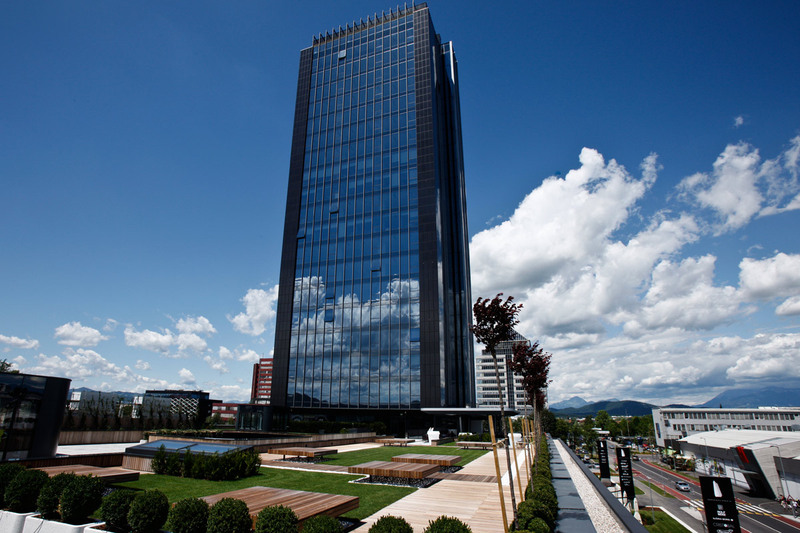 As the area with the most consumer visits in Slovenia and one of the most important commercial areas in the region, BTC City Ljubljana is the ideal place for commercial partners and anybody else looking for new business opportunities. 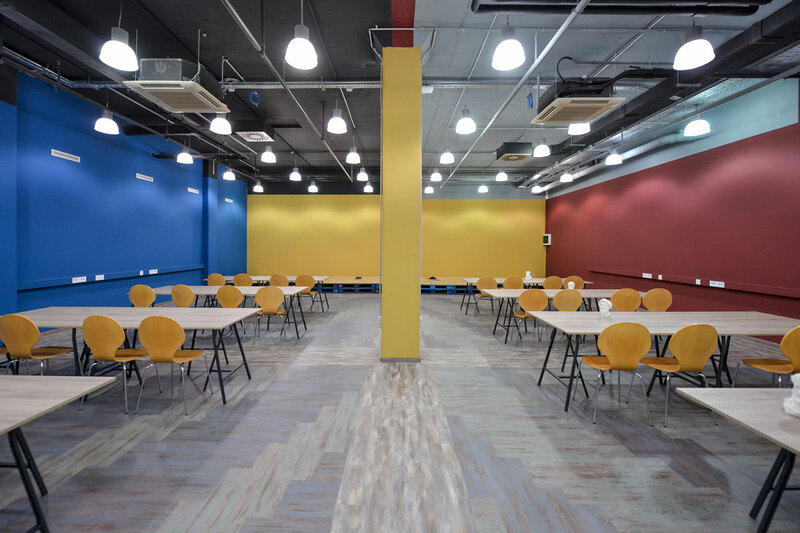 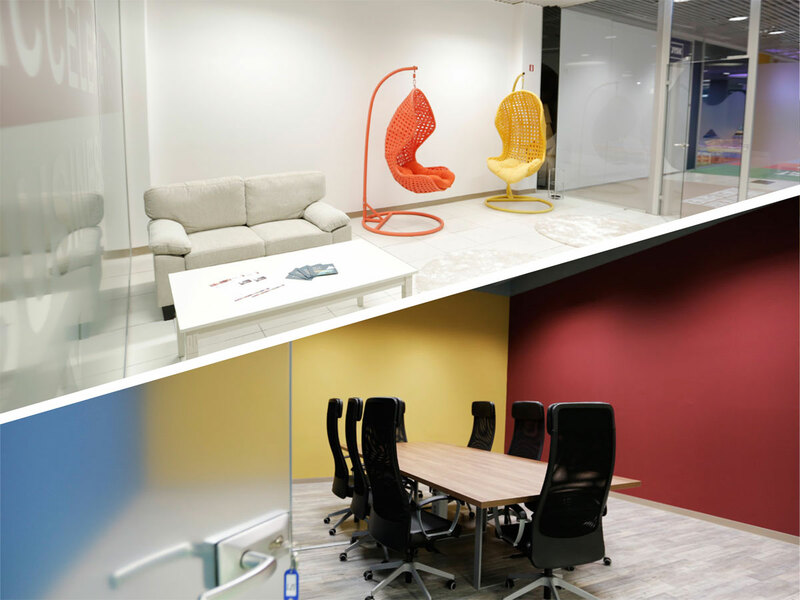 Our wide range of commercial and office facilities allow us to fulfil different expectations and requirements. 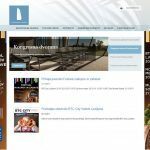 Internationally connected infrastructure for startup companies provides access to many innovations, relevant ISO certificates and additional services including conference facilities, the Radisson Blu Plaza hotel, infrastructure for leasing electrical vehicles all increase the comfort of your business partners and facilitate your next business decision regarding business properties. 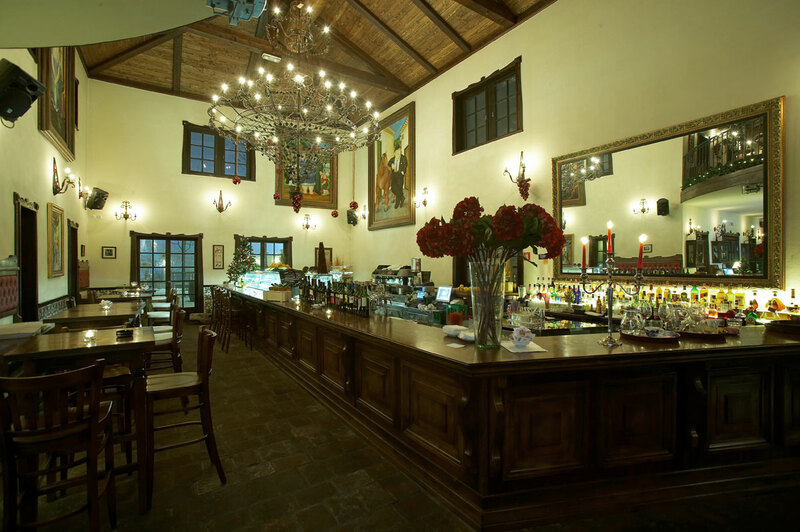 For all wishes, tastes and professions. 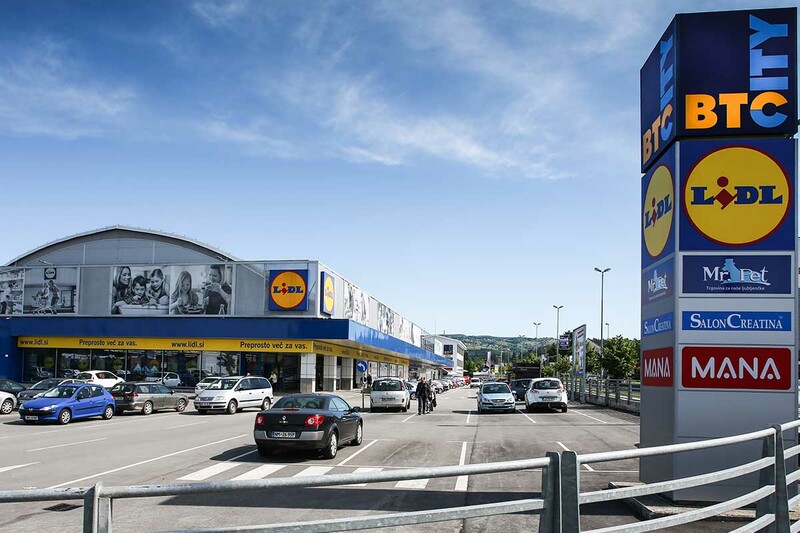 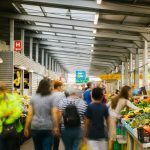 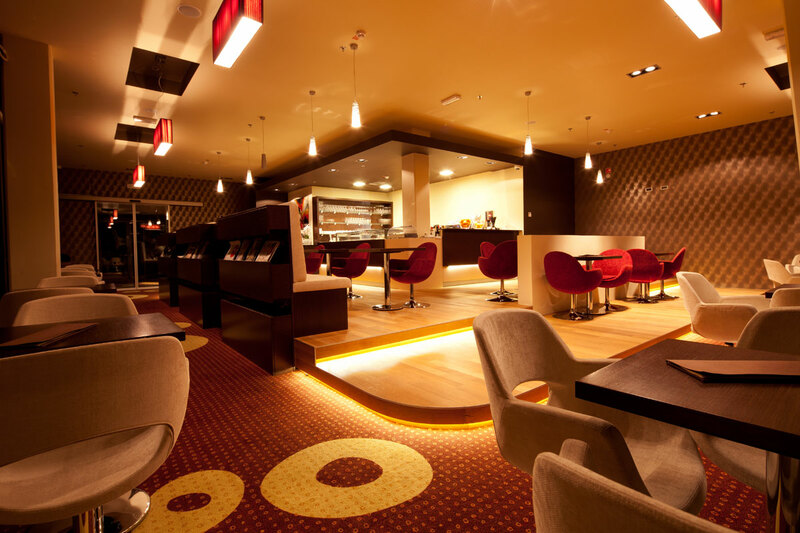 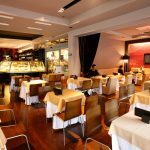 Choose from different types of retail, catering and other service premises in the most consumer visited area in Slovenia and find a place that fits your brand identity. 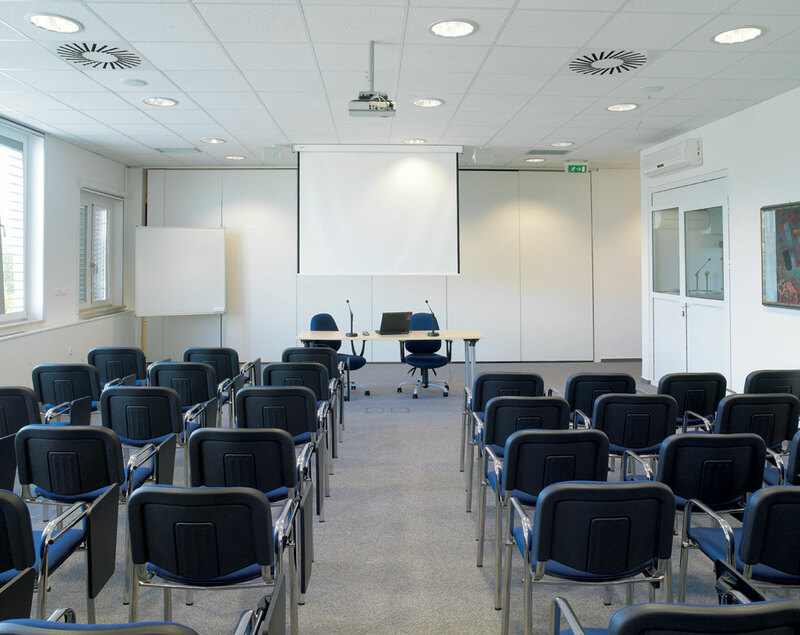 ISO certificates 55001, 50001, 9001, 14001 all assure that your decision will be correct. 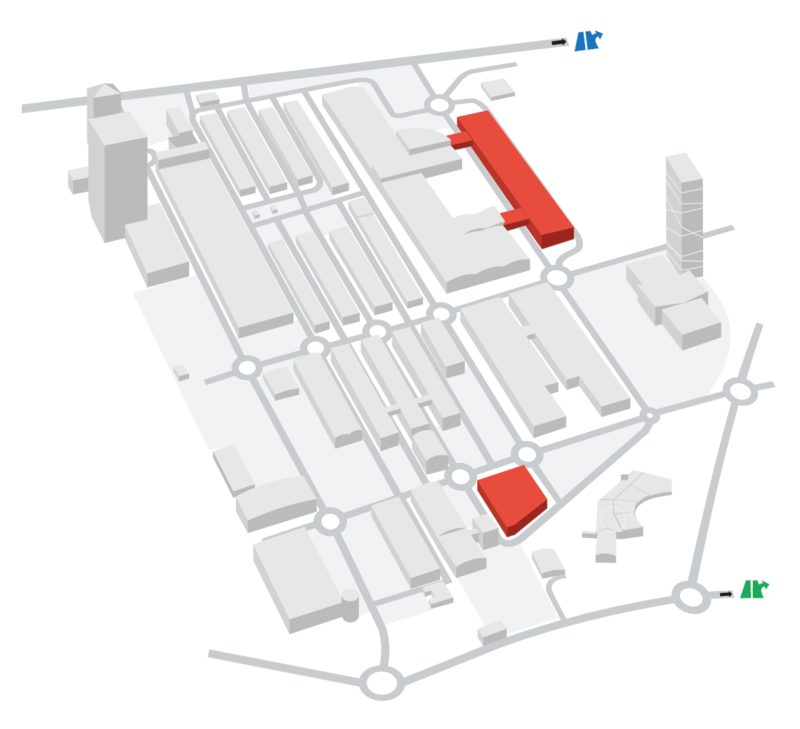 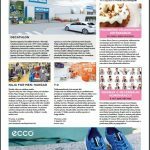 If your retail model is based on a unique appearance of your store, direct vicinity of parking spaces or pedestrian zones, you can select from a number of possibilities. 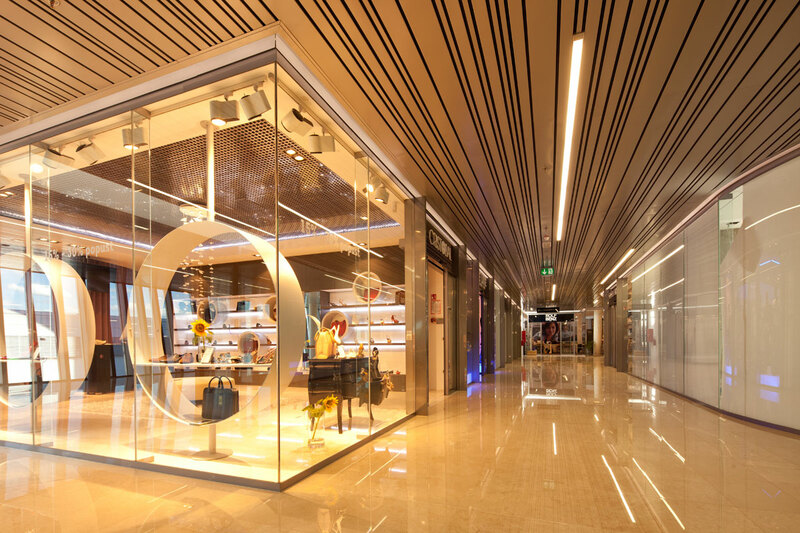 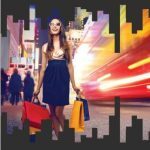 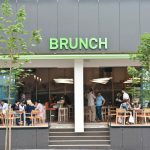 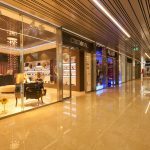 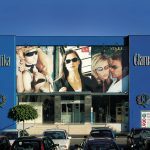 Your brand can benefit from large numbers of consumers in a single area in different covered shopping areas ranging from the typical mall with many different stores to a premium retail gallery in the direct vicinity of the business area or even a covered market area focused on providing fresh local produce. 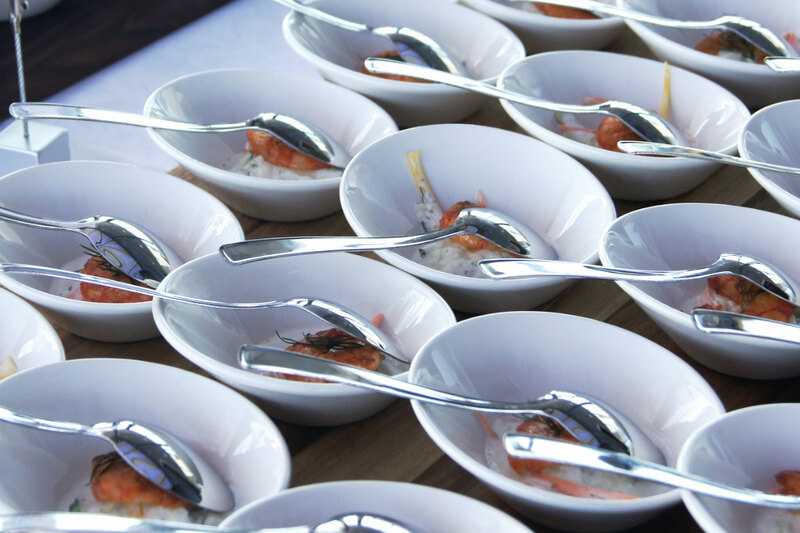 We support the arrival of various offers in local and international cuisine: from fast food and pizzas, vegetarian or diet offers and diverse international cuisine to fine dining. 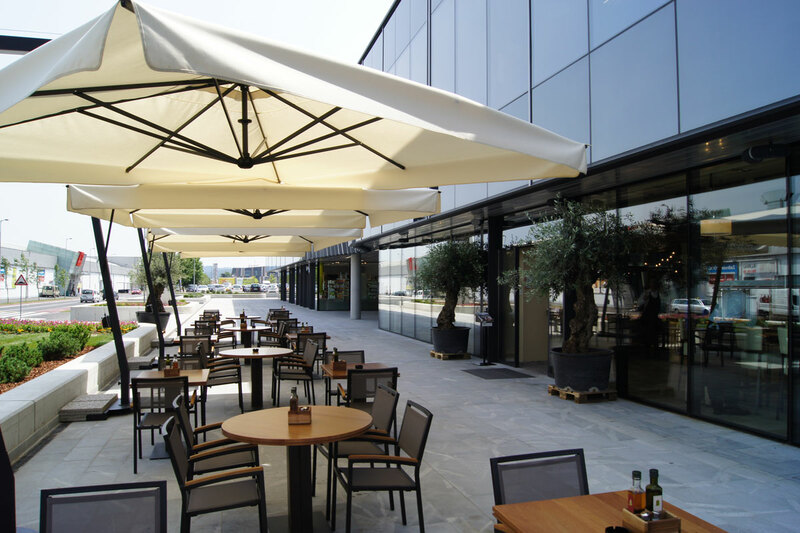 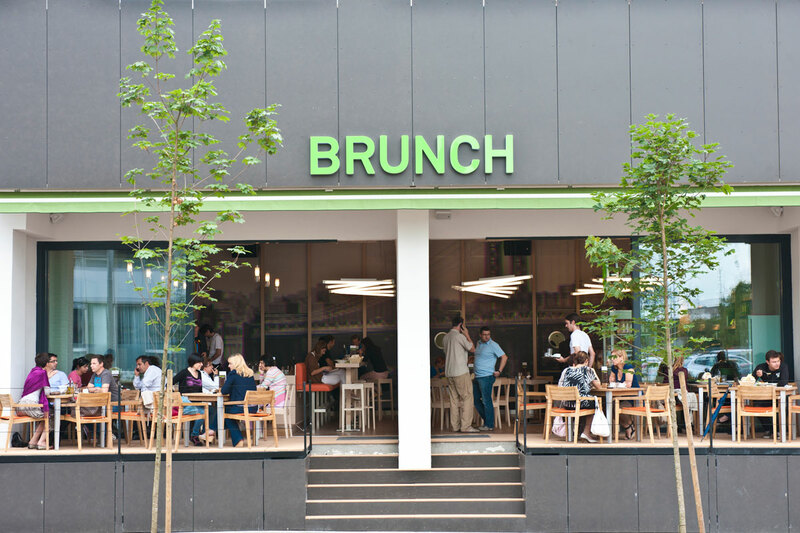 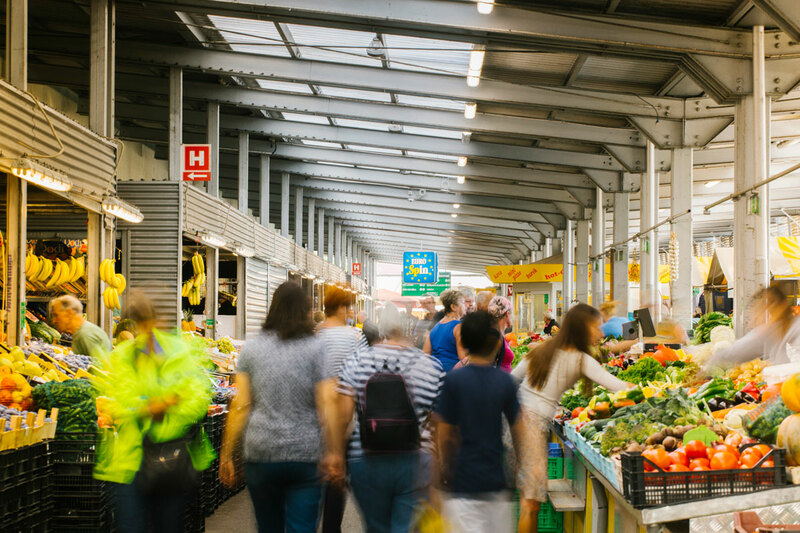 Become part of the BTC City family and select a location inside the covered retail area, an independent catering facility or an outside pavilion in the Culinary Park. 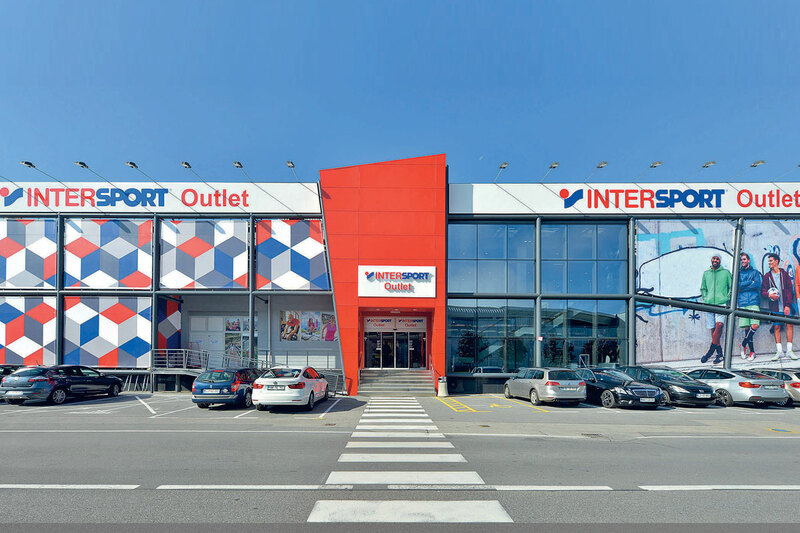 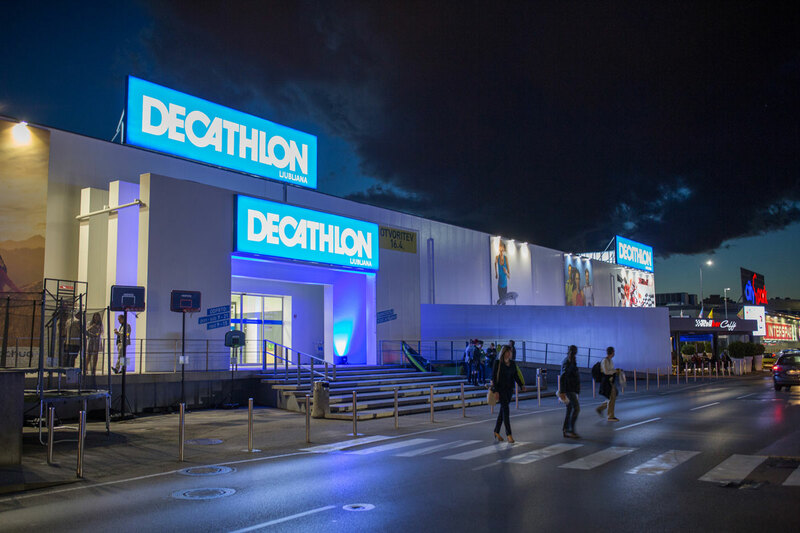 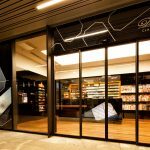 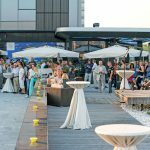 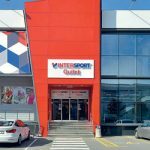 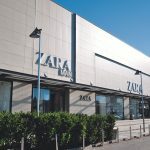 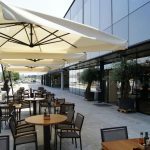 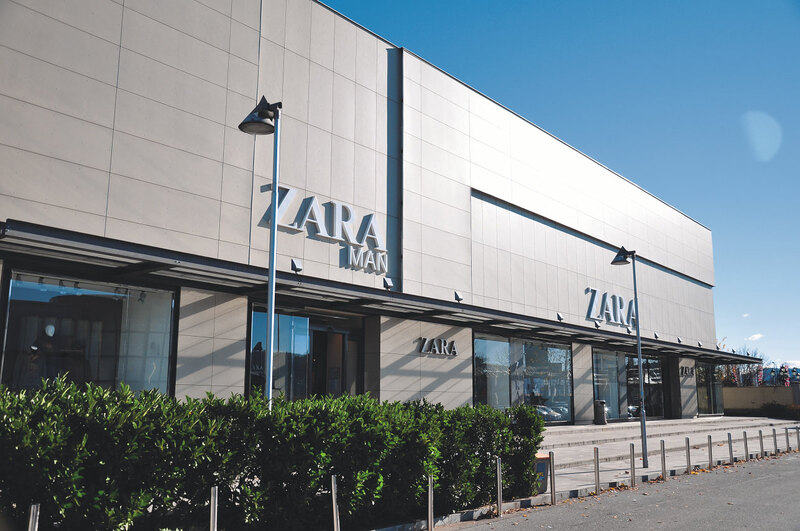 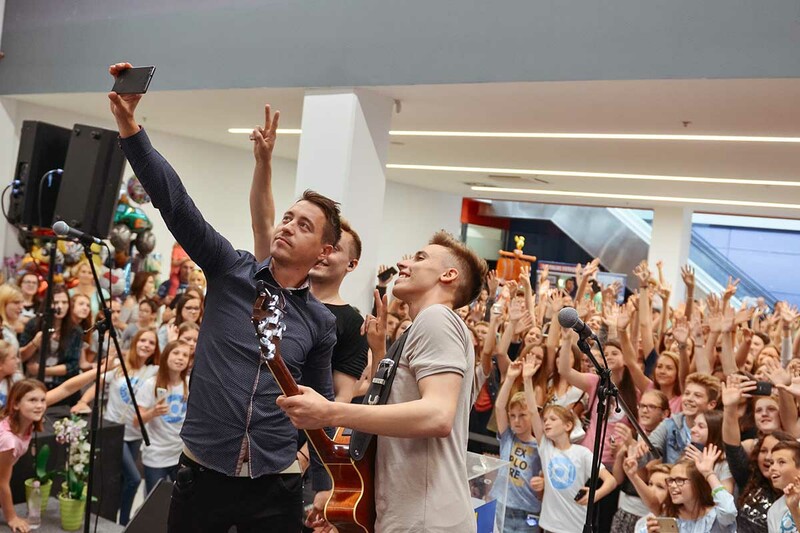 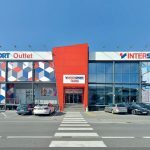 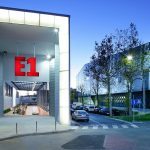 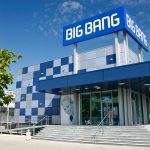 If you wish to bolster the recognizability of your brand, inform new customers or test the market potential of your product, then a pop-up store concept at the most frequented commercial area in Slovenia is the way to go. 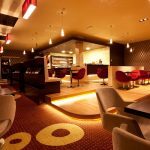 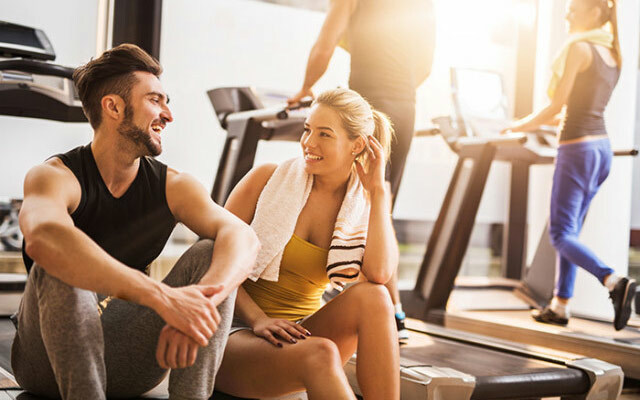 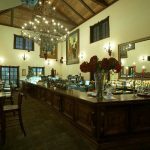 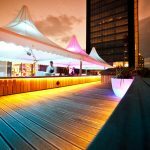 We offer a number of locations for creating unforgettable experiences and involving customers with your unique “here today, gone tomorrow” concept. 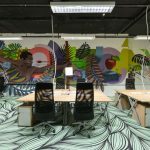 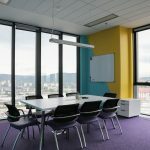 Perfect office in Ljubljana. 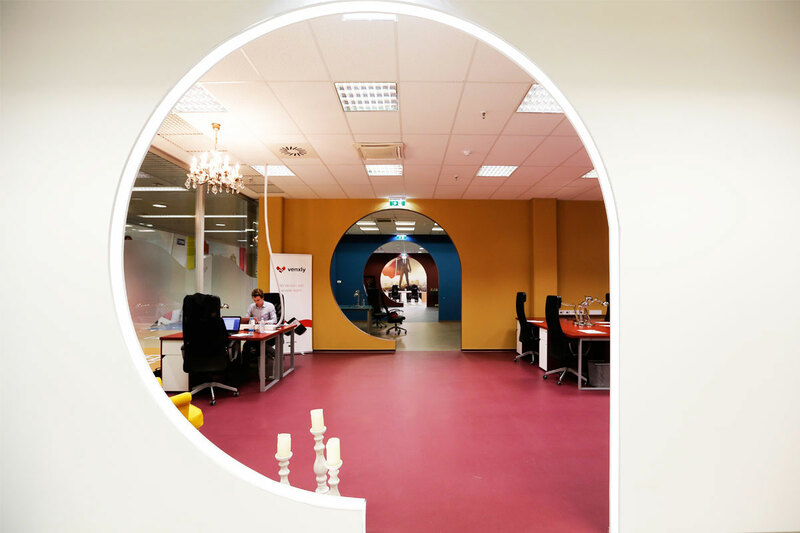 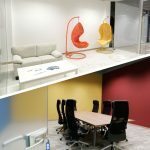 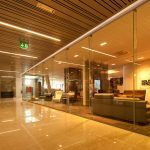 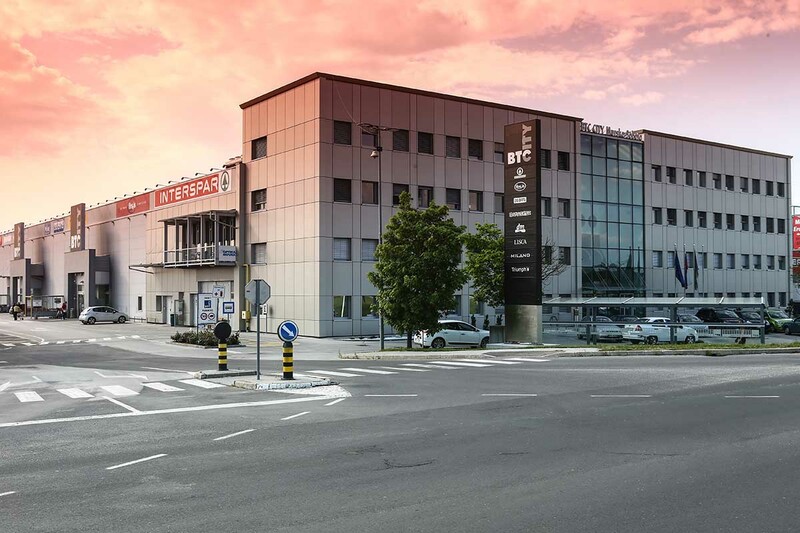 We offer a full spectrum of office space in a first class and accessible location: 3 km from the centre of Ljubljana, 200 m from the Ljubljana motorway ring and 25 km from the Ljubljana international airport. 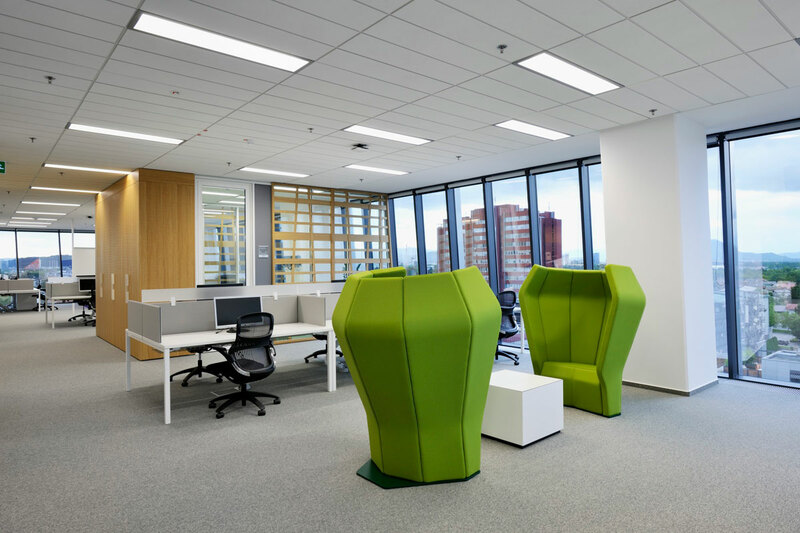 Let ISO certifications 55001, 50001, 9001 and 14001 help you decide on your new office. 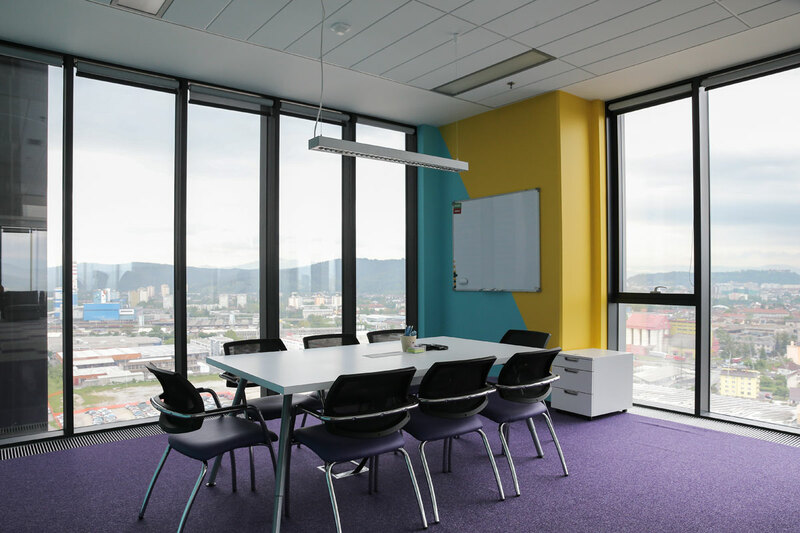 Attractive office spaces are available in two modern high rise buildings among offices of many multinational corporations. 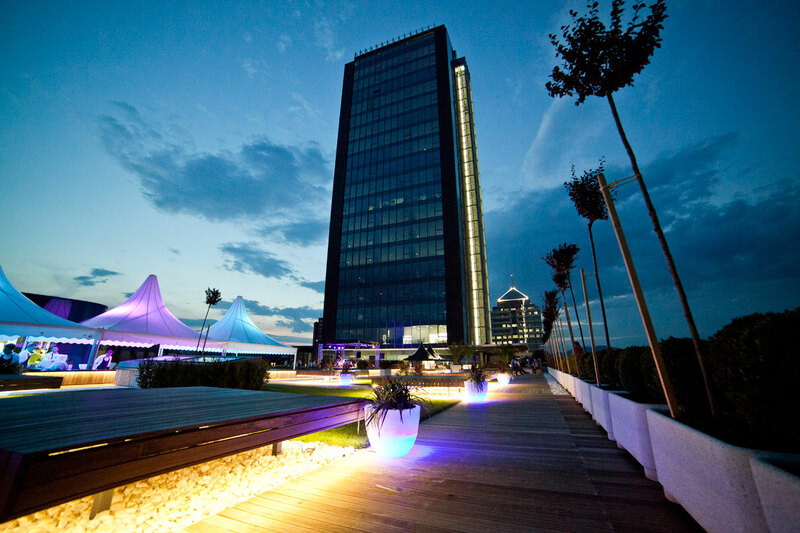 Adaptable floor plans, majestic views, conference rooms, direct vicinity of the Radisson Blu hotel and option of using electric vehicles provide your employees or business visitors with all the comforts of a modern office environment. 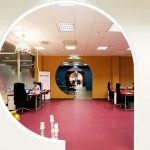 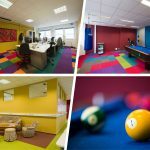 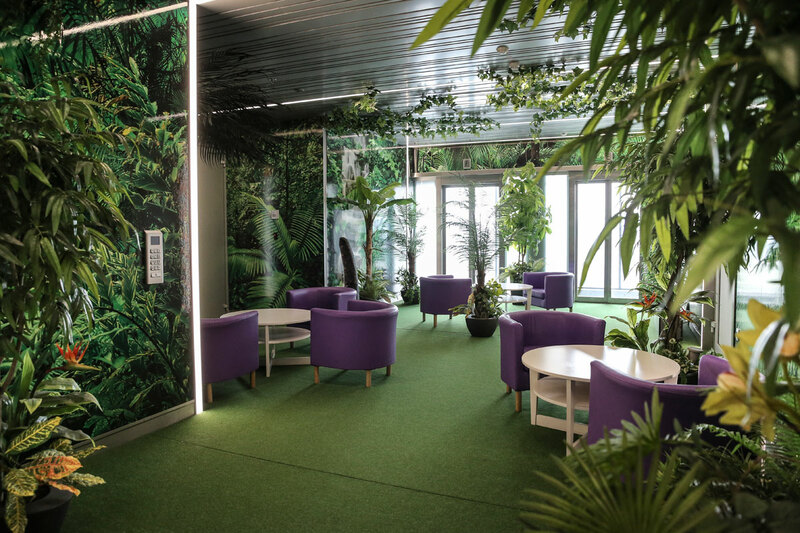 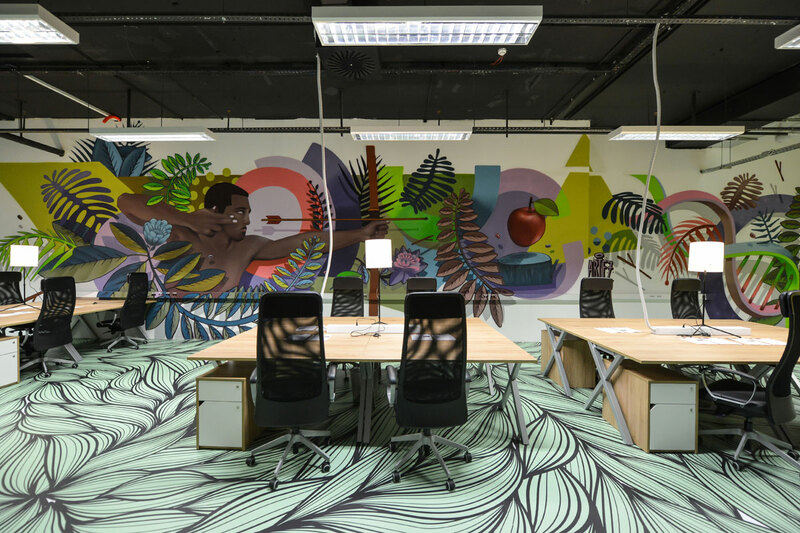 Accessible office space with adaptable floor plans are the perfect answer to the requirements of companies that need small to mid-size offices at an accessible location in an innovative and diverse business environment. 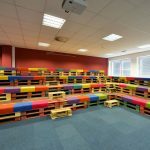 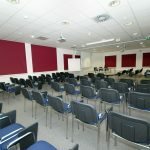 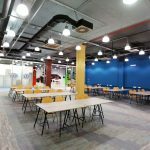 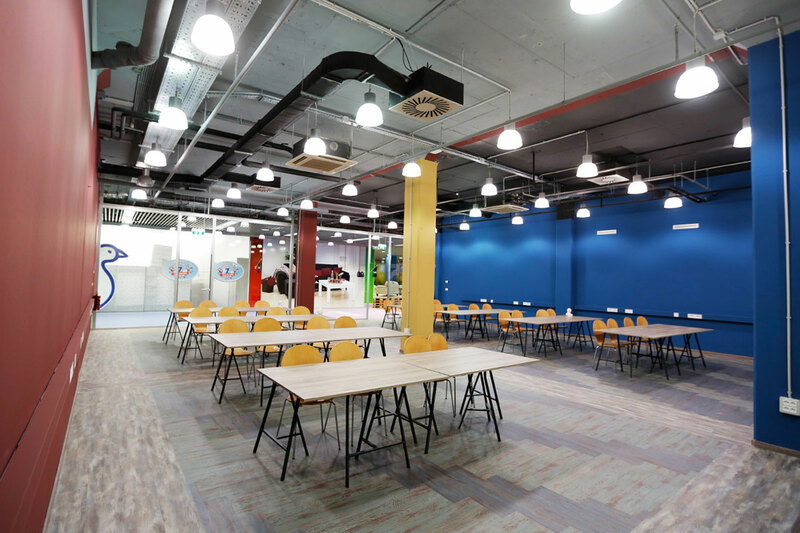 Organise business meetings, conferences or informal get togethers with your employees at an accessible and handy location. 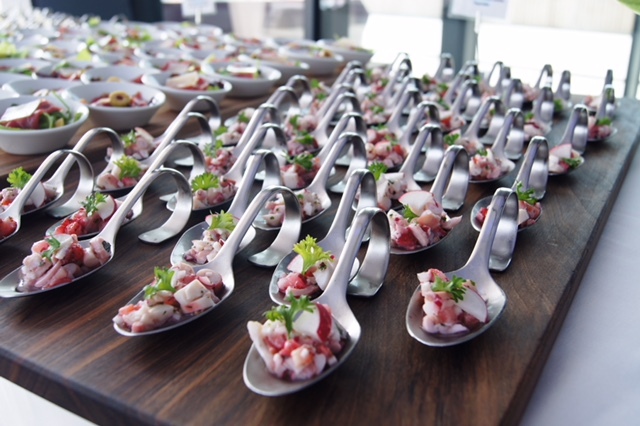 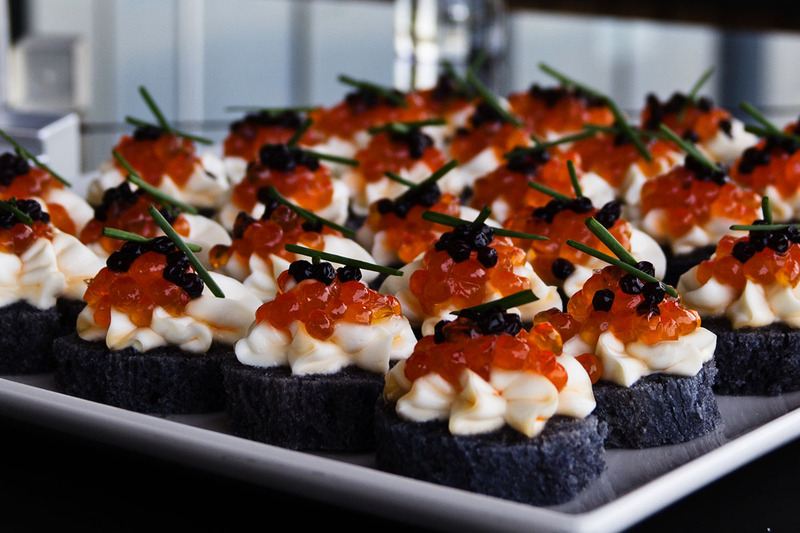 Our gourmet catering team can help make sure that your guests remember the event for the food and drink as well. 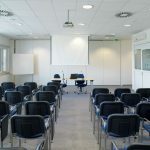 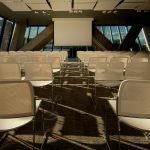 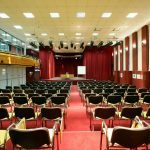 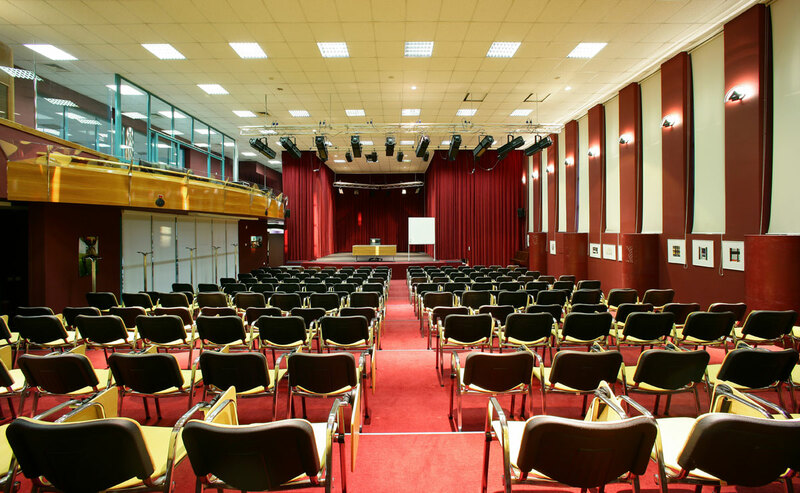 Different possibilities of renting conference facilities are available depending on your requirements and number of guests. 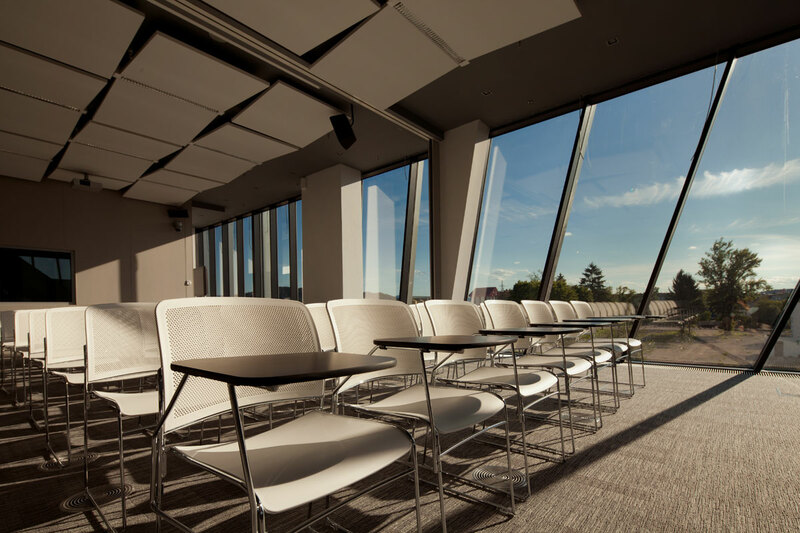 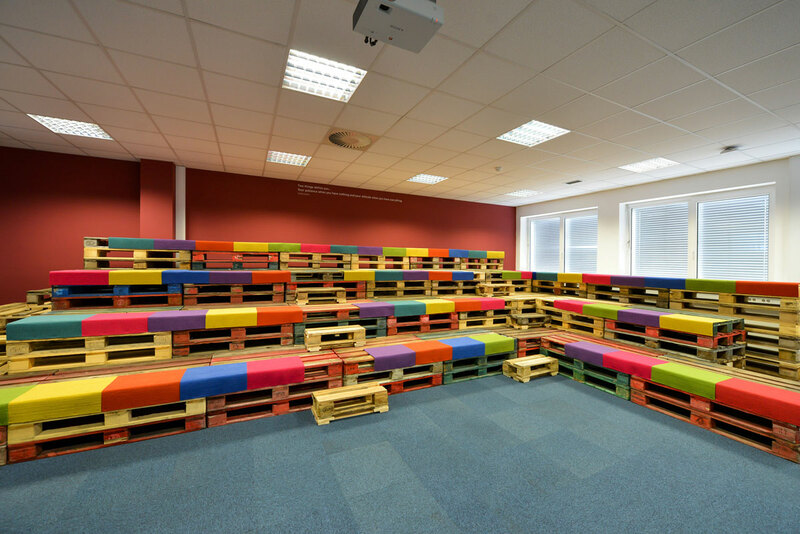 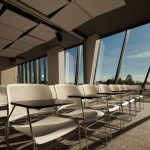 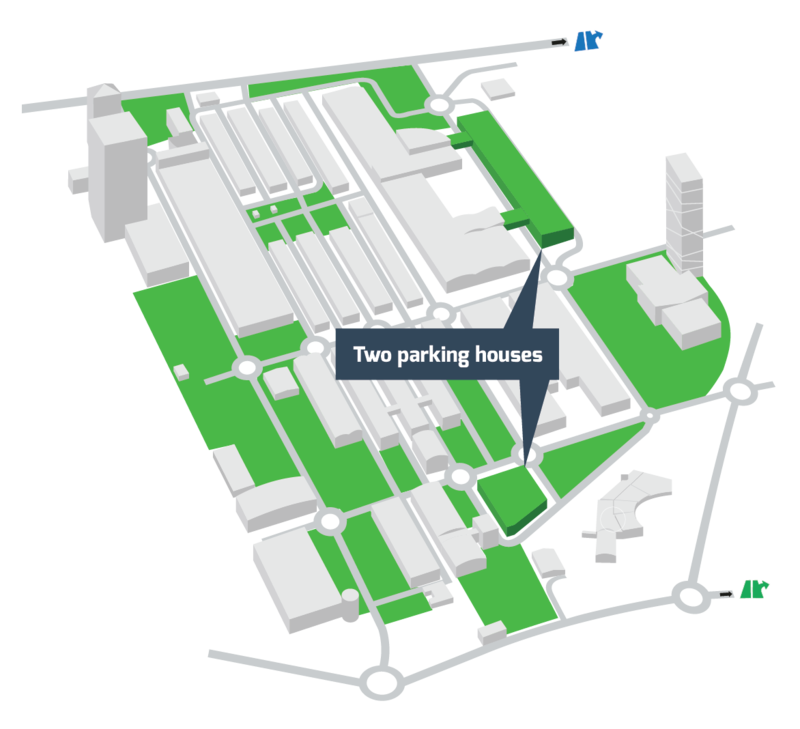 You can choose from the first class business Congress Hall at the Crystal Palace, three lecture rooms with different equipment at the ABC Hub or a more accessible alternative at our Logistics Centre. 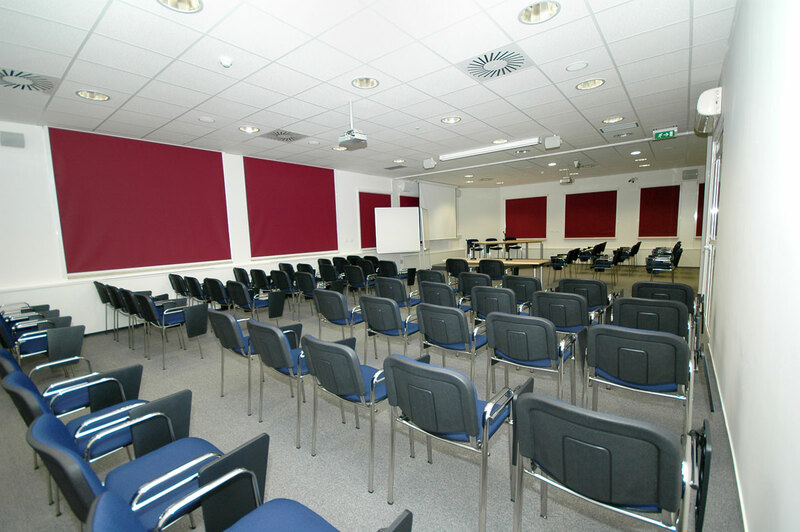 All premises are furnished with multimedia presentation equipment and whiteboards. 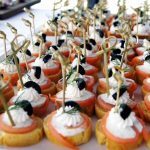 We can also provide a selection of refreshments for your guests and visitors. 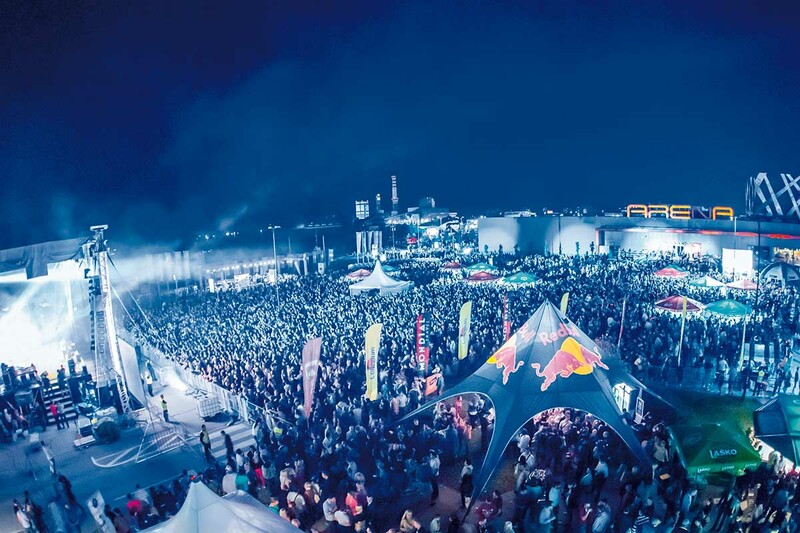 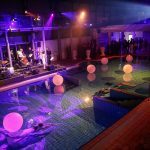 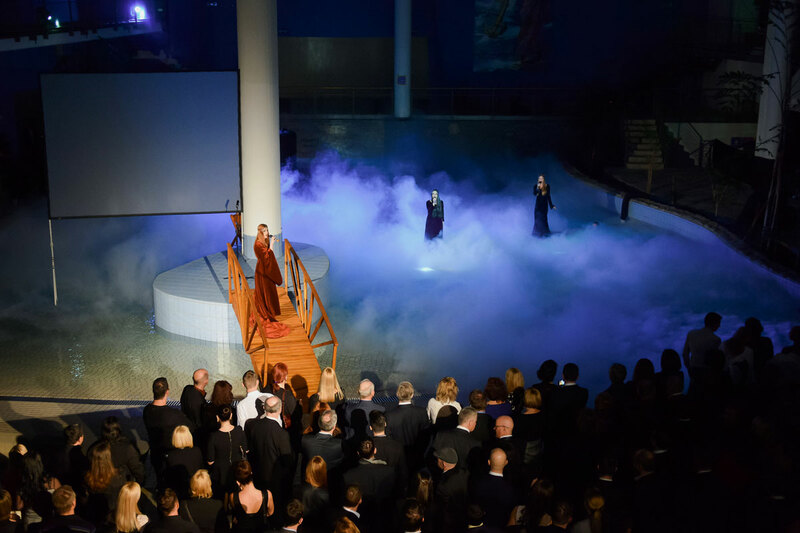 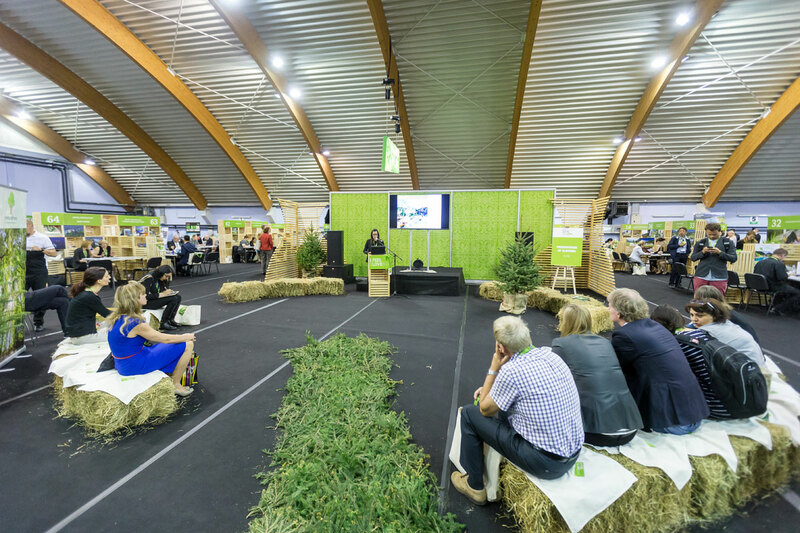 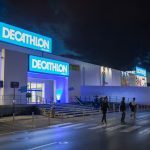 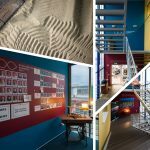 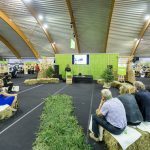 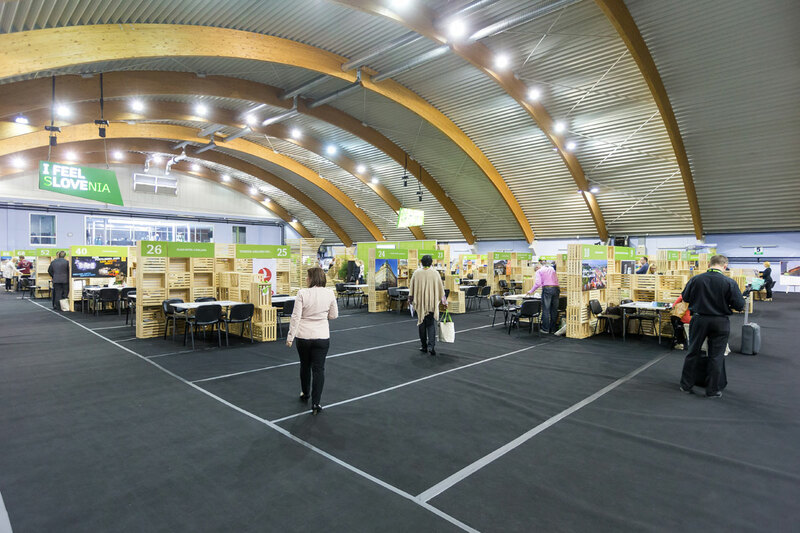 If you seek to create an unforgettable experience for your visitors and participants you can choose from a number of diverse indoor and outdoor locations. 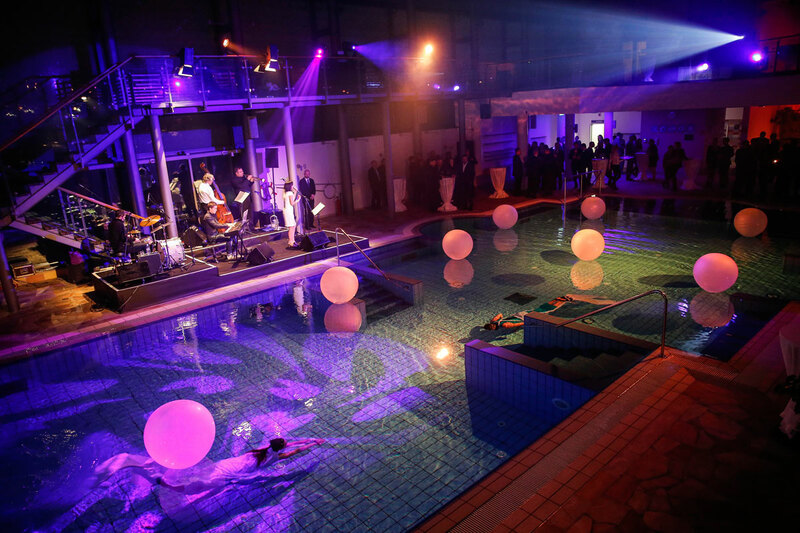 Have you ever considered organising an event in the Atlantis water park, surrounded with water and charming poolside lighting? 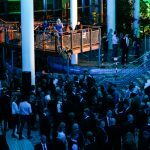 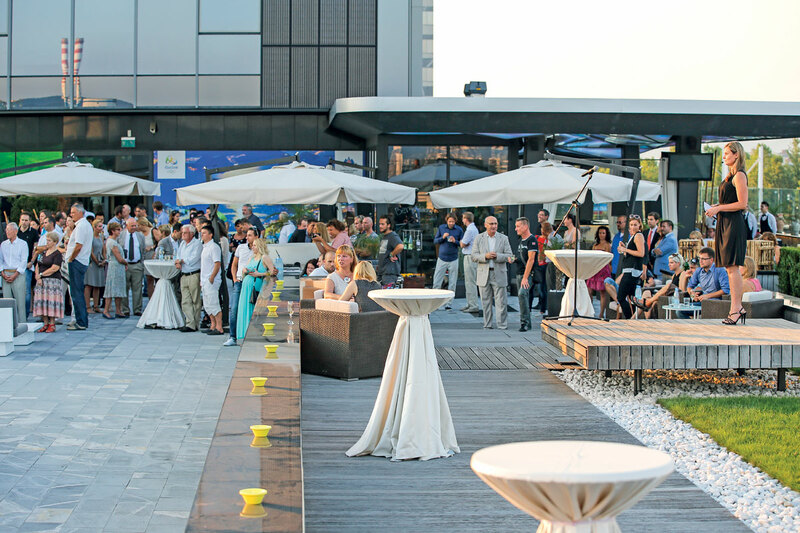 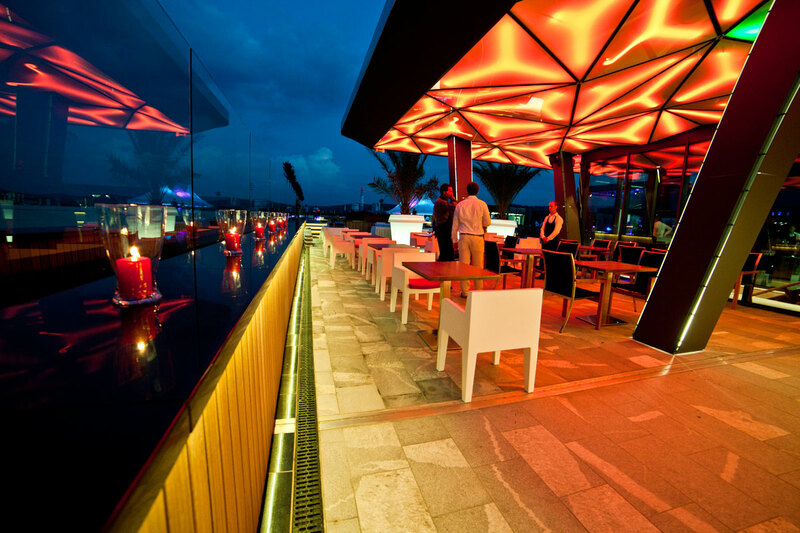 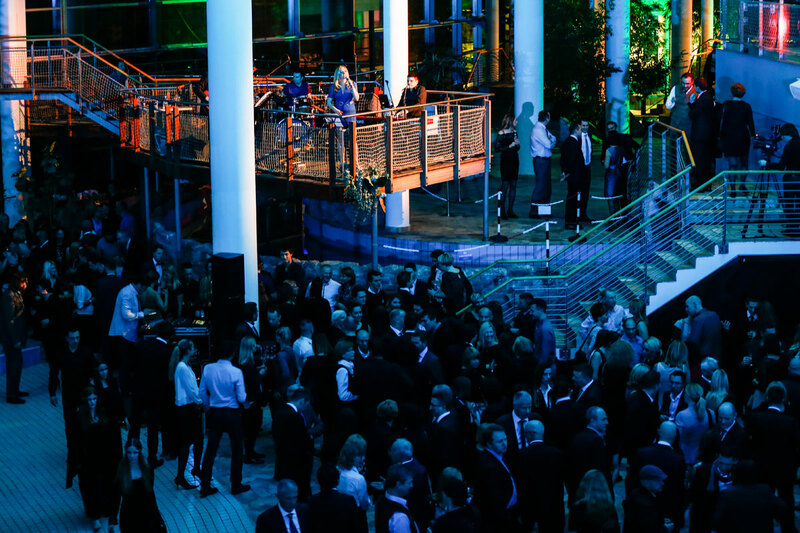 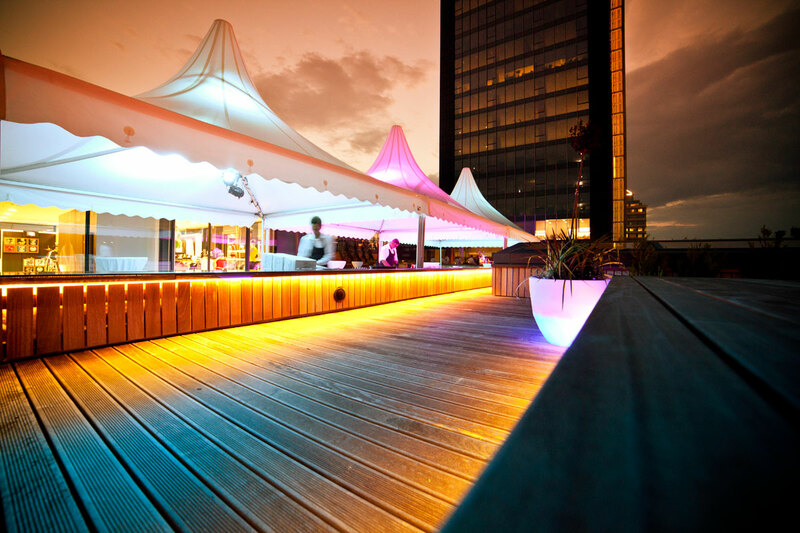 How about an urban experience above the city on our Green Terrace, tailor made for different events? Perhaps a breathtaking panoramic view from the Crystal Palace heliport? 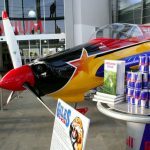 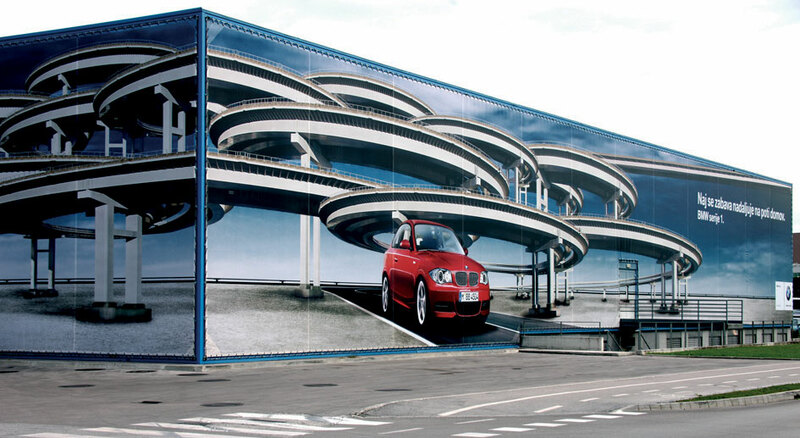 Maybe you only need a handy outdoor location for an effective presentation of your product? 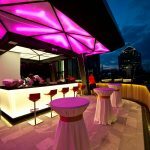 Our representatives will be more than happy to answer all your questions and help you select the appropriate location for your event. 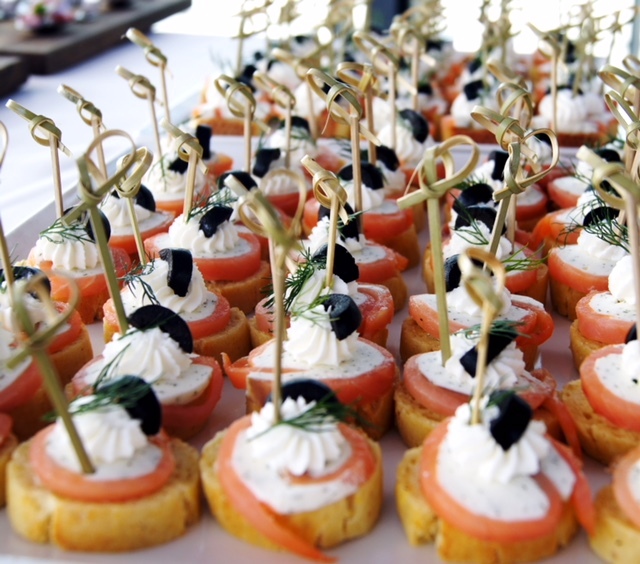 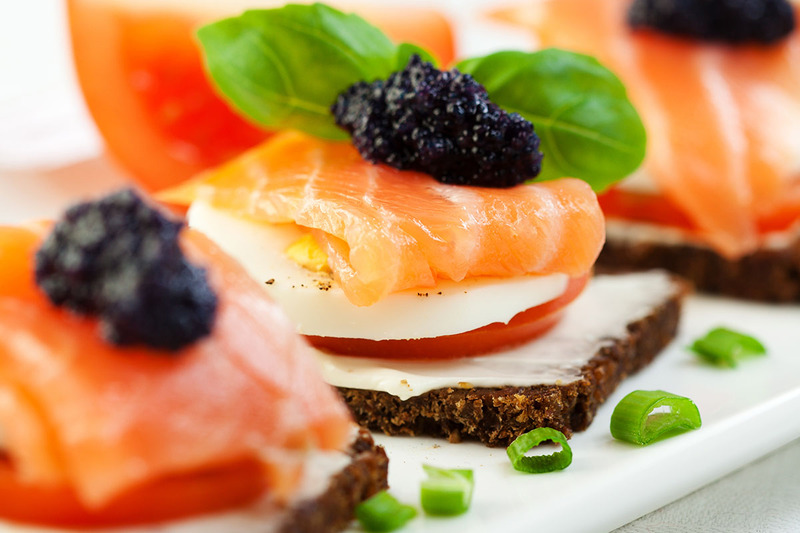 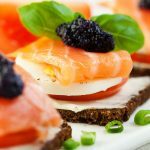 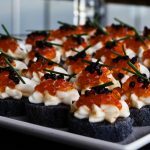 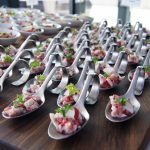 Our expert team of chefs and caterers will provide first class refreshments for your guests. 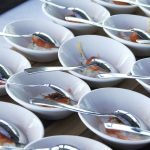 Offers can be adapted to suit your requirements or special dietary needs of your guests and we will be honored to help you find that special menu to make your guests feel truly special. The Atlantis water park includes an adrenalin park that is perfect for different types of teambuilding events to challenge your teams, build on trust, promote communication and strengthen that essential team spirit. 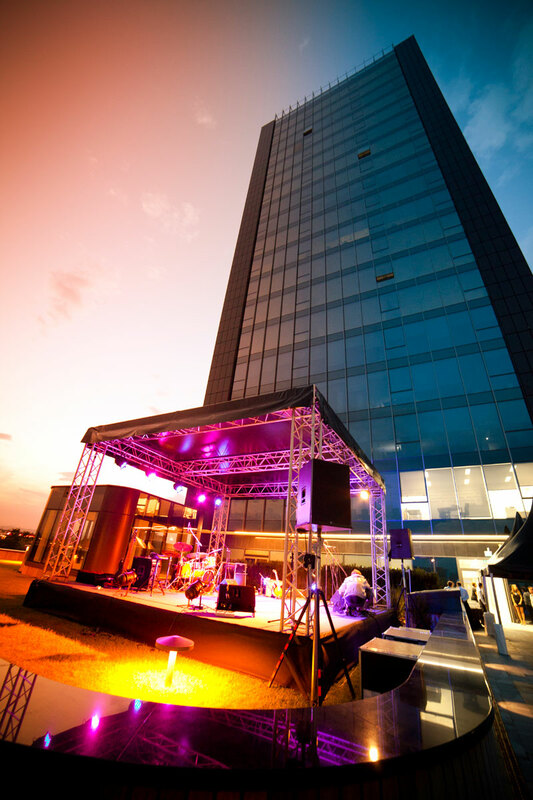 Events range from one to multi day sessions and we will happily tailor the perfect experience for your team. 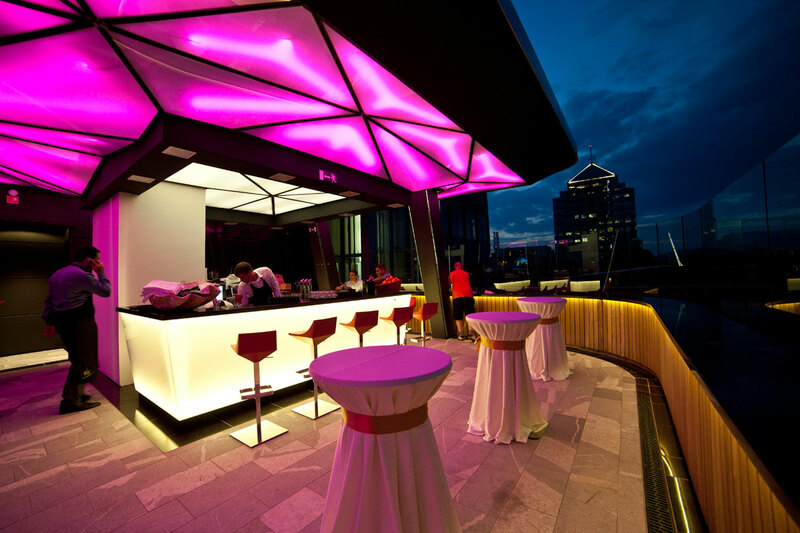 Our lessees can select from a wide range of custom tailored architectural and civil engineering services. 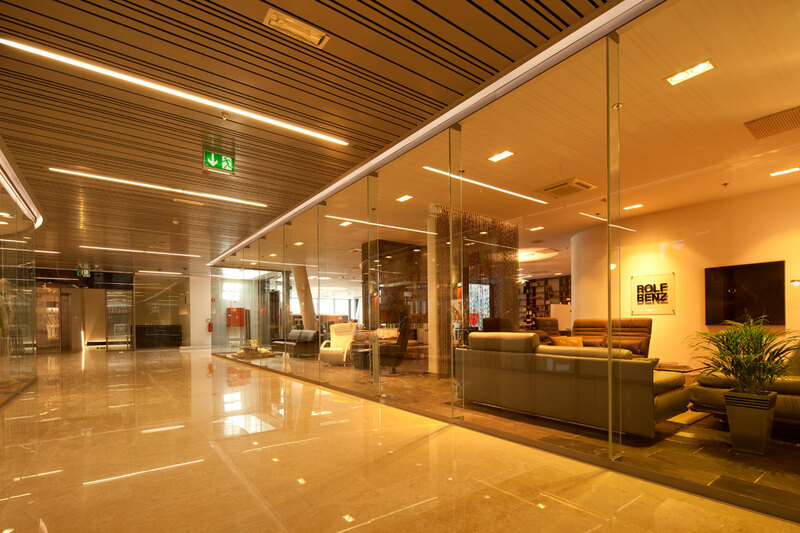 Over 30 years of experience of our experts assure professionalism and know-how for services of the highest quality. 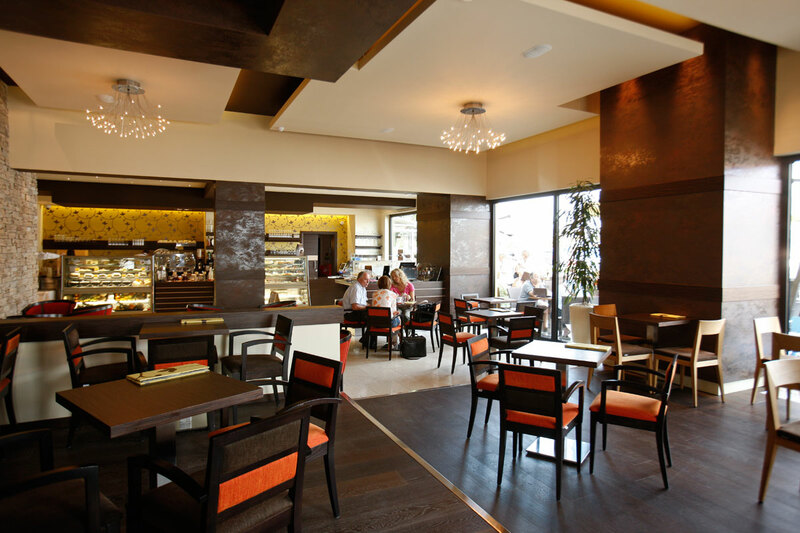 We focus on the details no matter the size of the project and look forward to bringing your concepts to life. 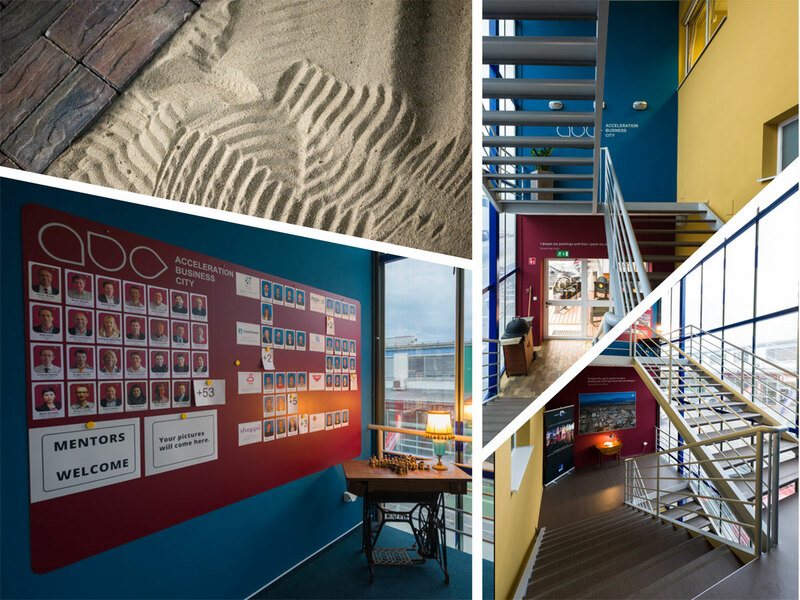 Looking for a location to shoot your advertising materials? 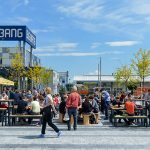 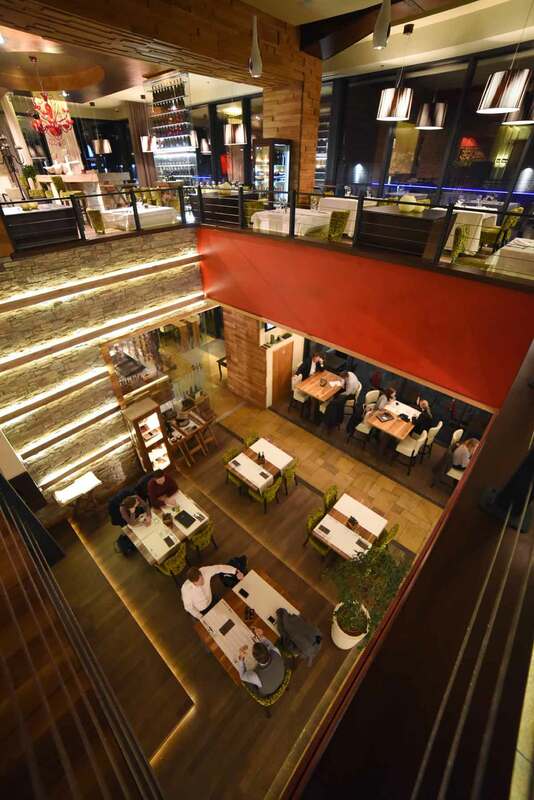 A diverse and lively urban space designed by over 40 local and foreign architects, is more than a harmonic and aesthetic environment. 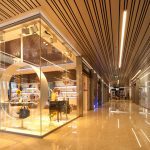 It is a social, psychological, engineering and technical whole that offers numerous architectural possibilities for your creative inspiration. 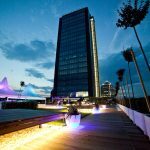 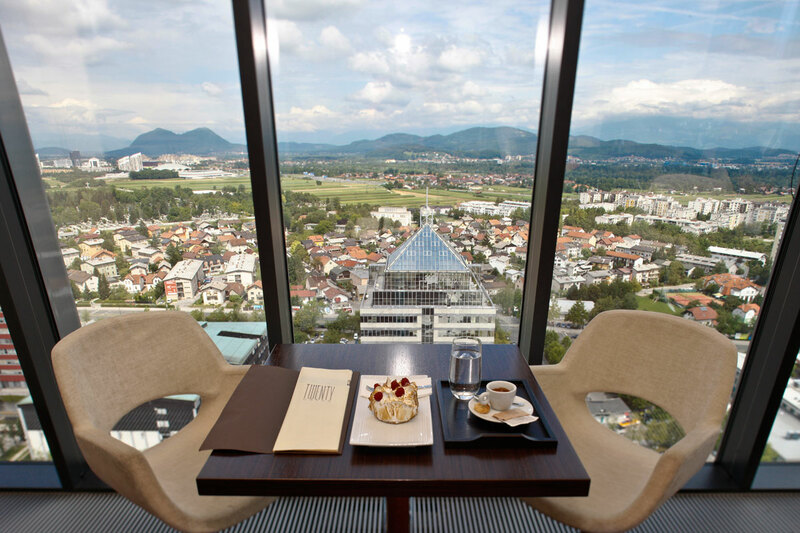 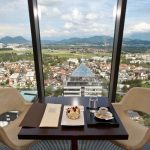 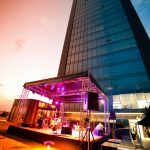 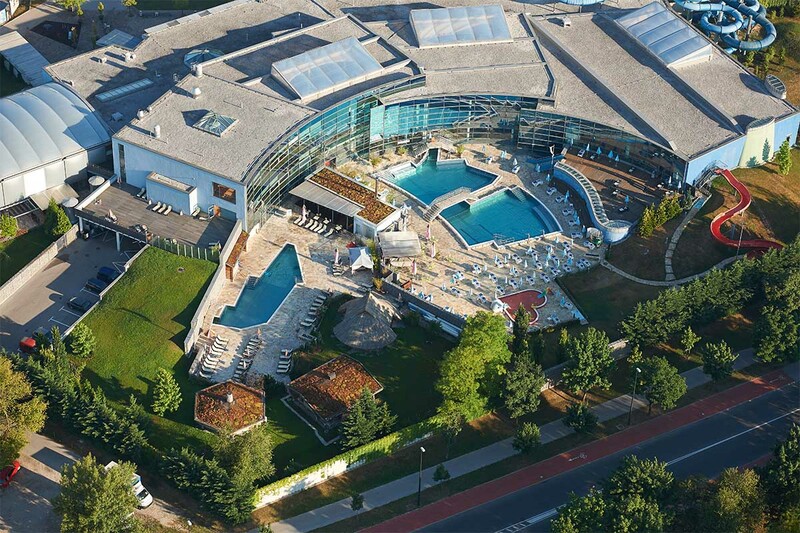 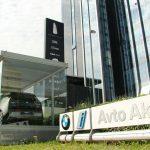 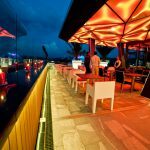 Green areas and gardens, amazing rooftop scenes, art installations in external and covered areas, diverse buildings, poolside areas and water features at the Atlantis water centre, panoramic view from the highest office tower in Slovenia, panoramic elevators or even a heliport … the choice is yours! 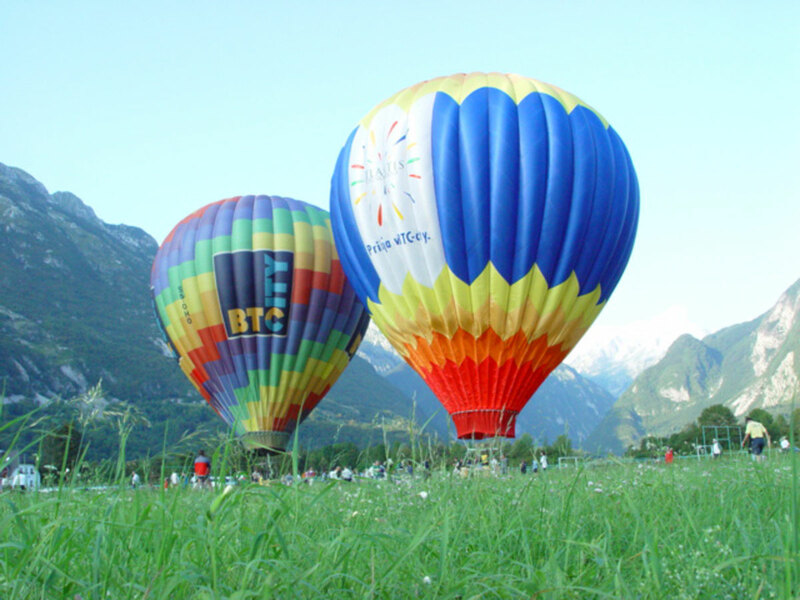 Tell us your wishes and we will help you find the best solution. 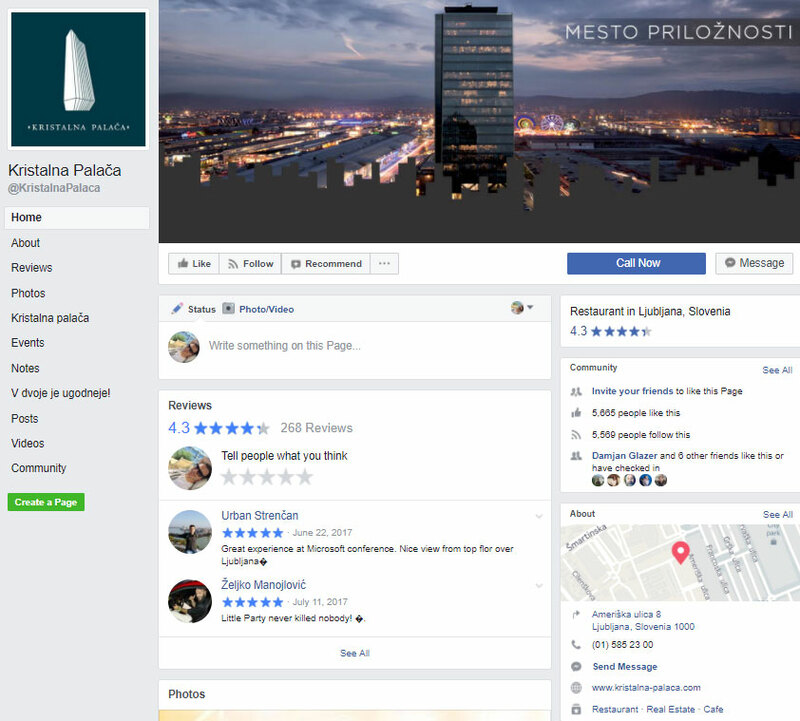 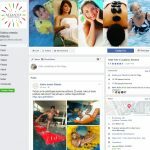 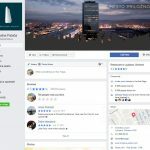 Examples and photos: External elevator at the Crystal Palace, heliport, Green Terrace, images of art pieces, pool in front of the Crystal Palace, BTC City parking garage, recording studio (Štorija). 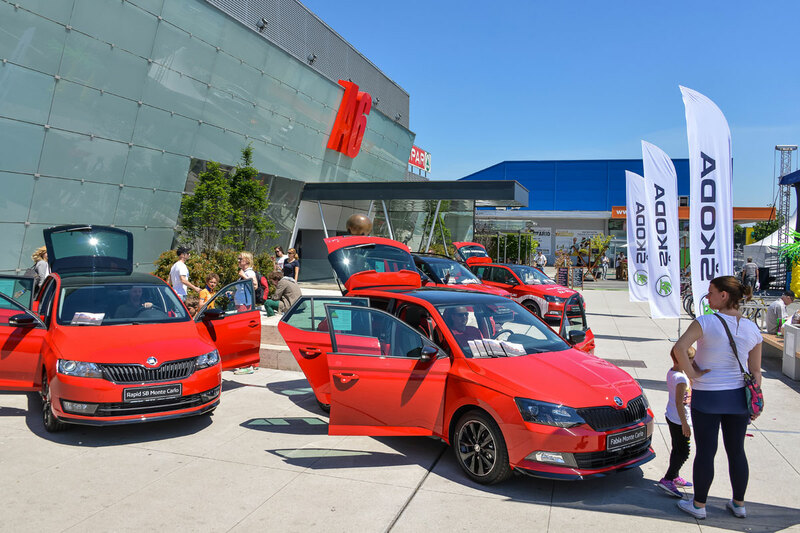 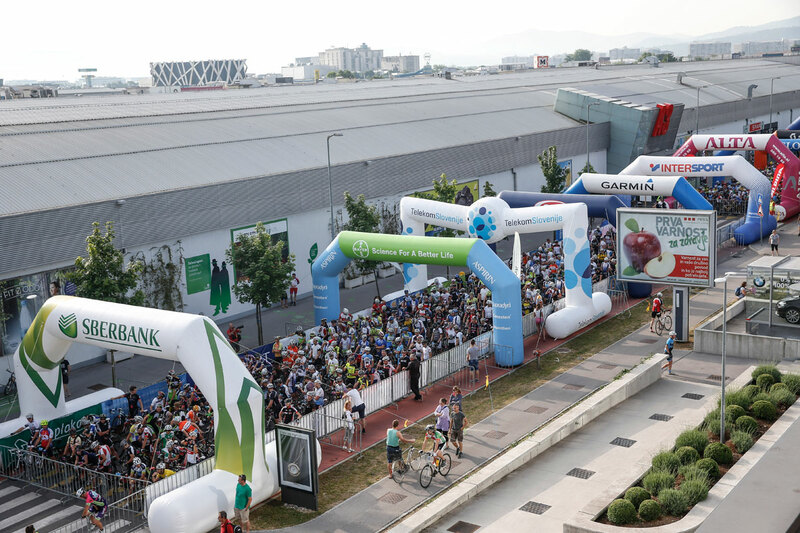 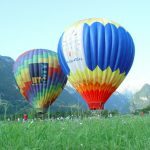 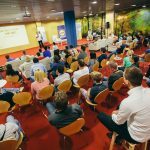 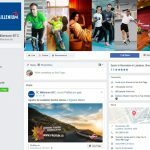 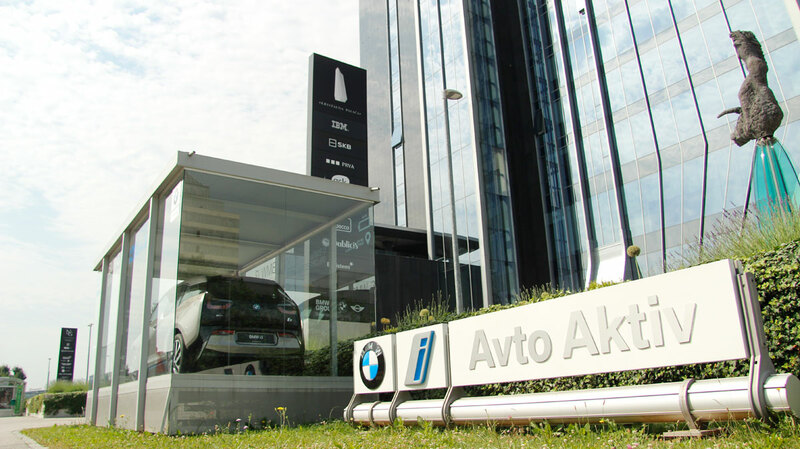 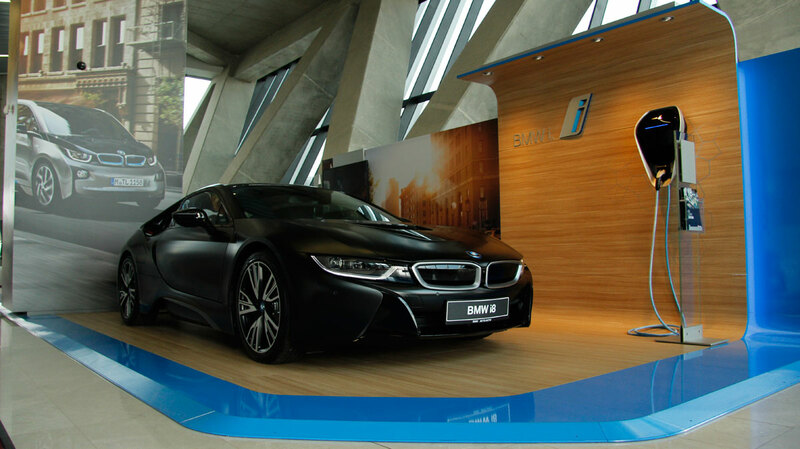 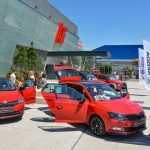 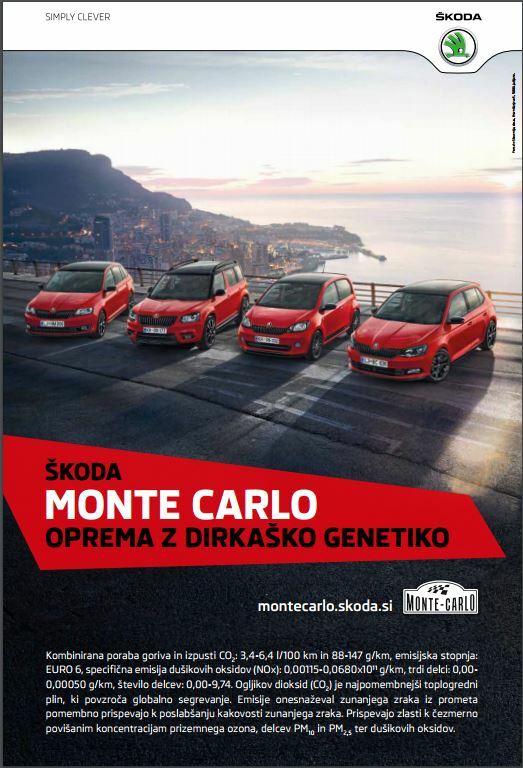 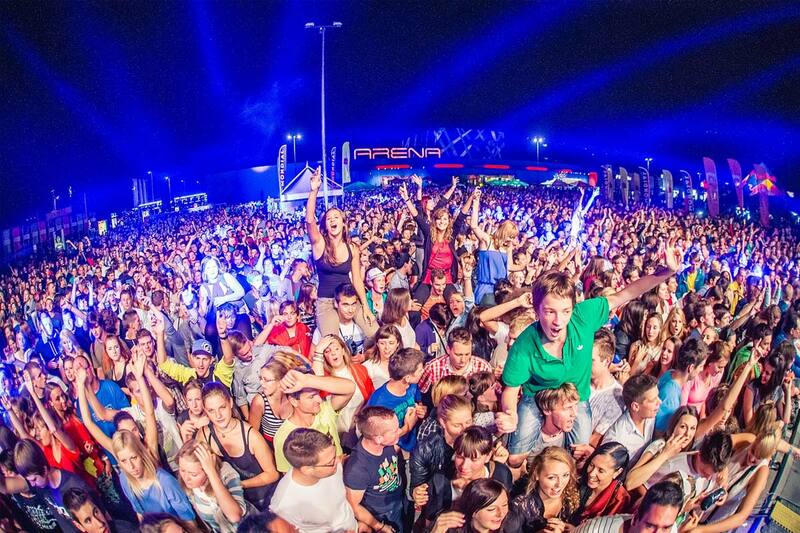 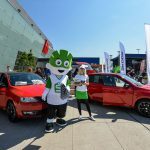 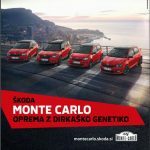 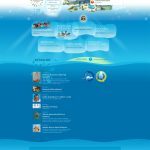 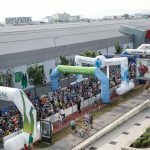 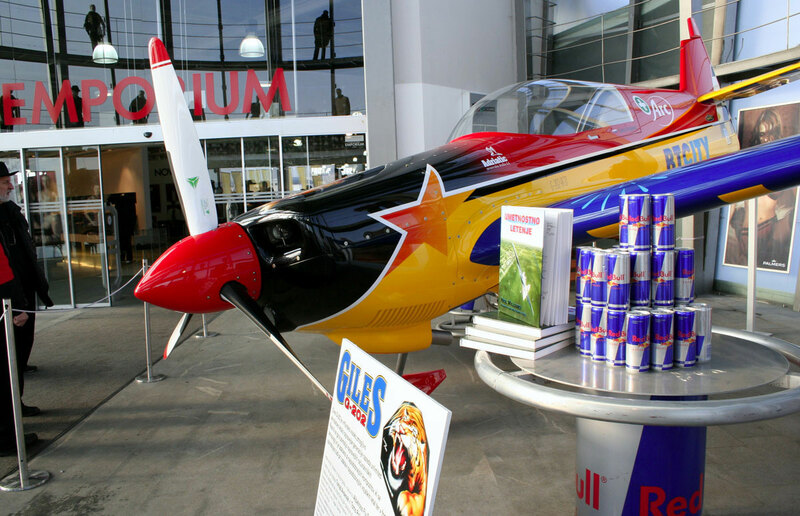 We offer many advertising opportunities for presenting your brand in the most frequent area in Slovenia that sees over 21 million visitors each year. 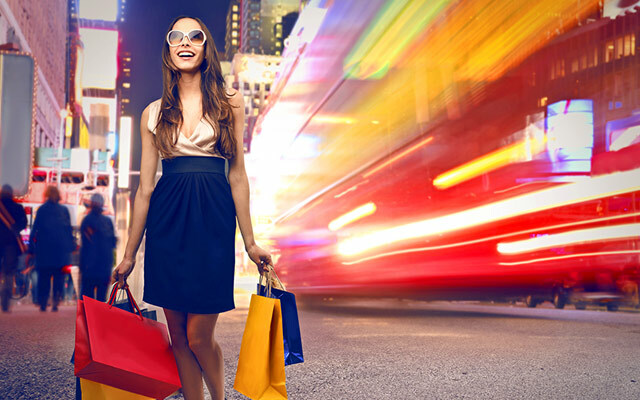 Do not miss the opportunity to raise awareness of your brand right before the purchase phase. 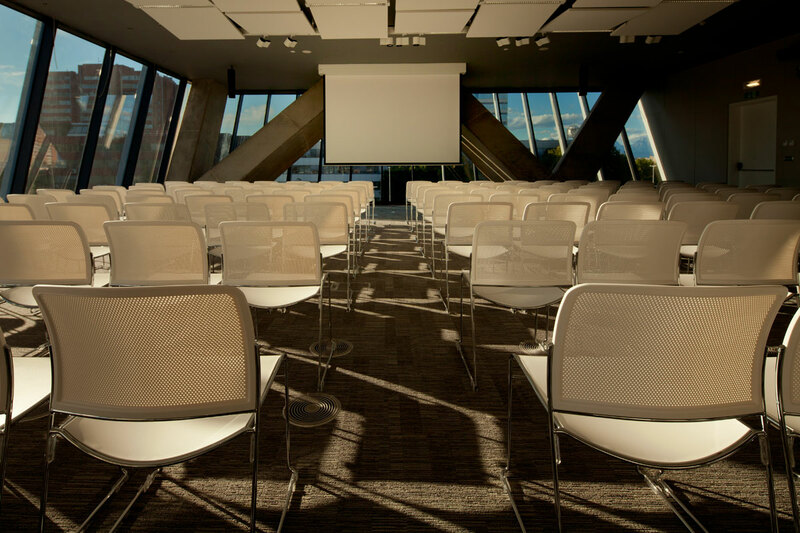 Contact us to reserve your space. 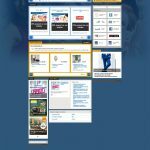 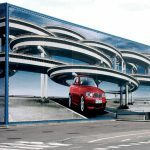 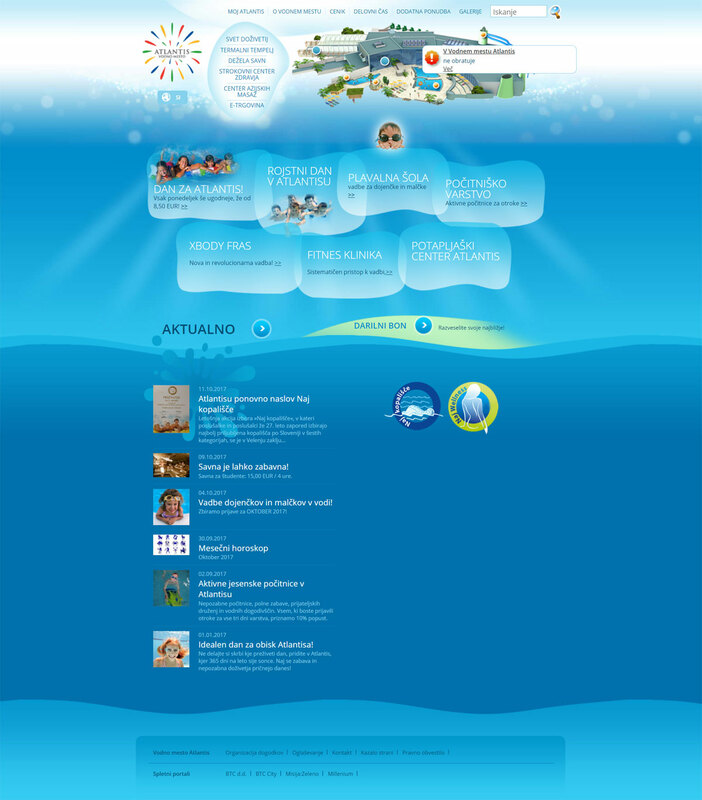 Innovative advertising tailored to your needs – innovative, daring and visible. 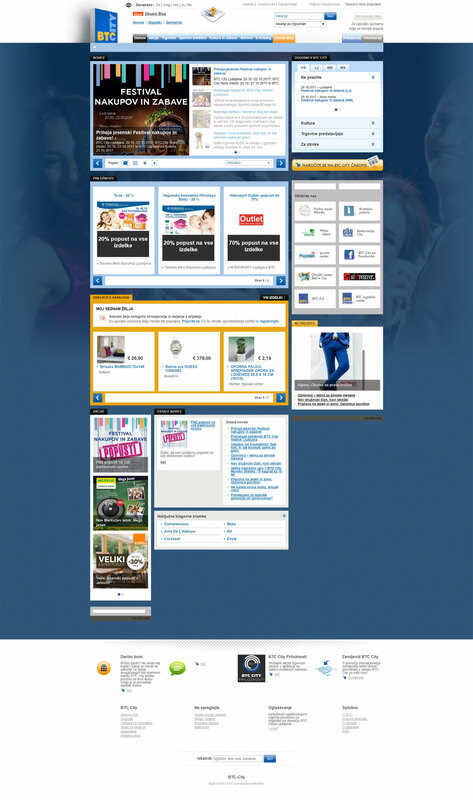 Click to view desired item. 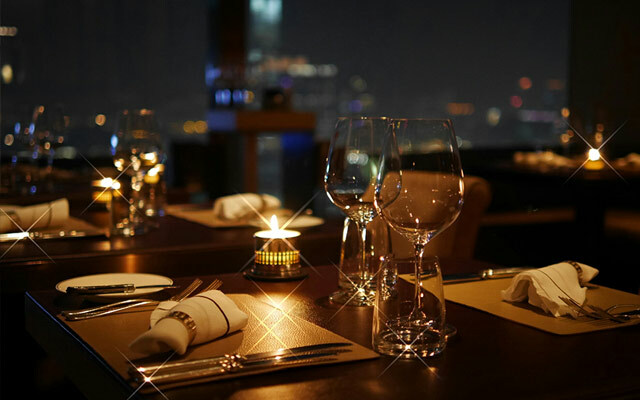 After work comes … everything else. 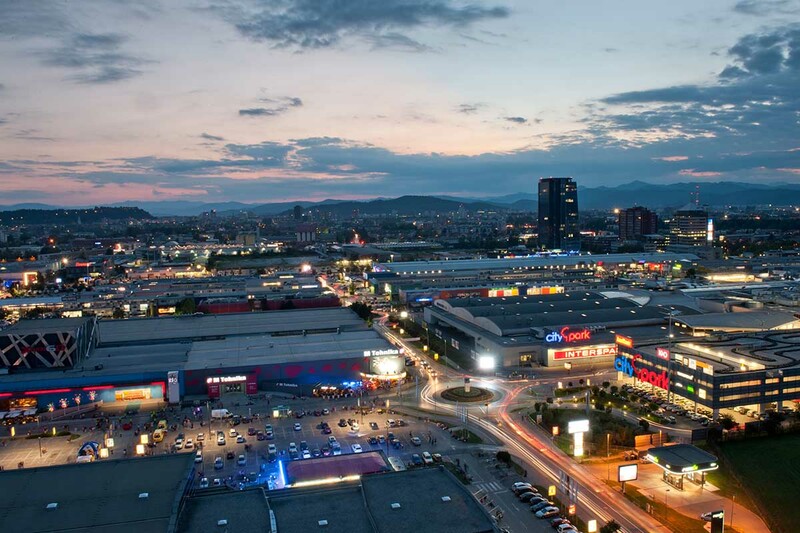 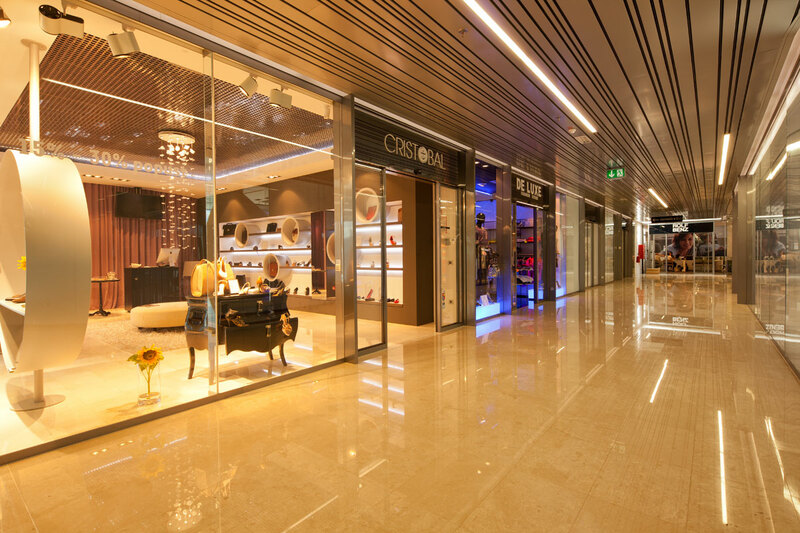 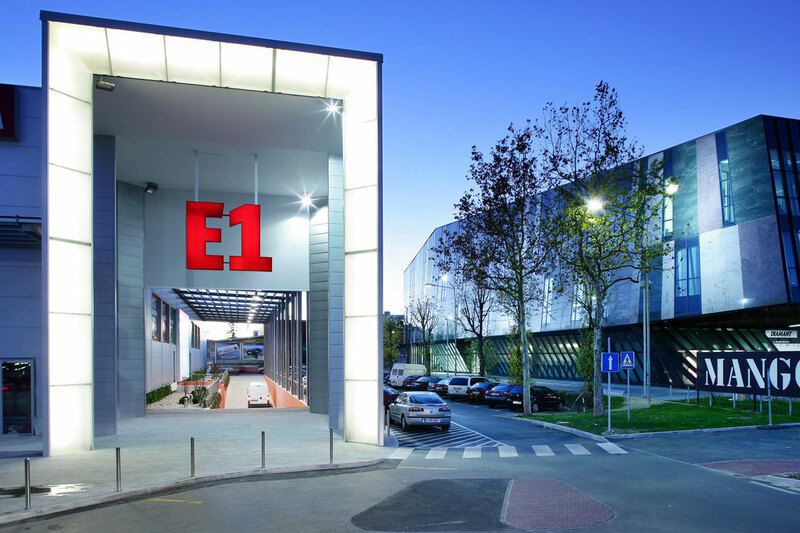 One of the largest European shopping, leisure, recreation, culture and business centres awaits you with its 450 stores and 70 bars and restaurants. 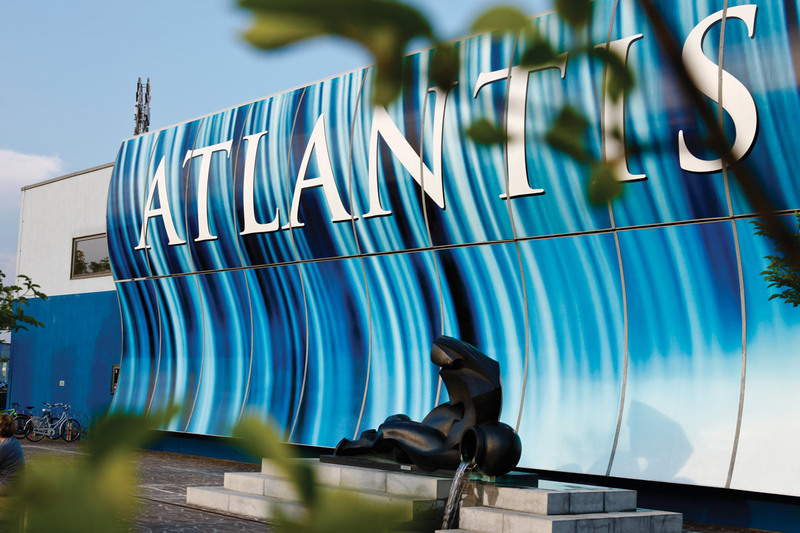 The produce market and outdoor culinary park cater for all tastes and the numerous possibilities for leisure and sports activities, along with the always refreshing Atlantis water park with its 17 pools, 15 saunas and exciting adrenalin park mean you will always be spoiled for choice. 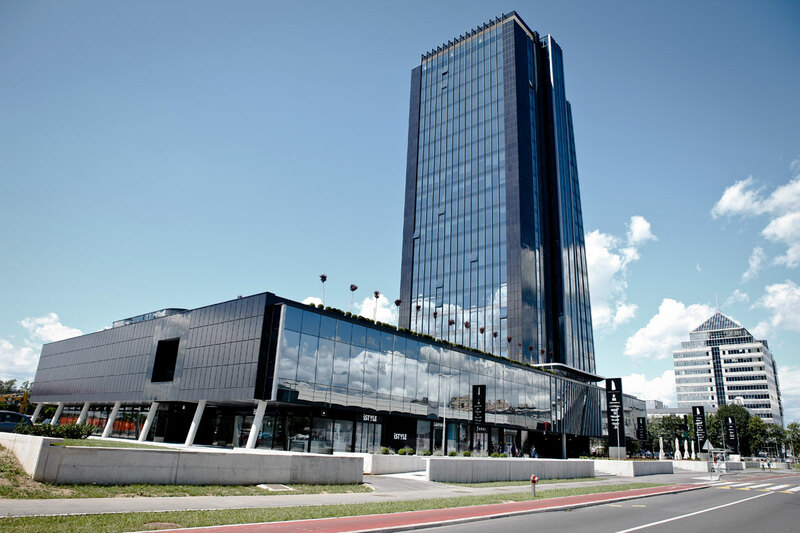 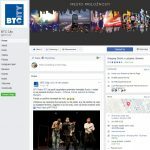 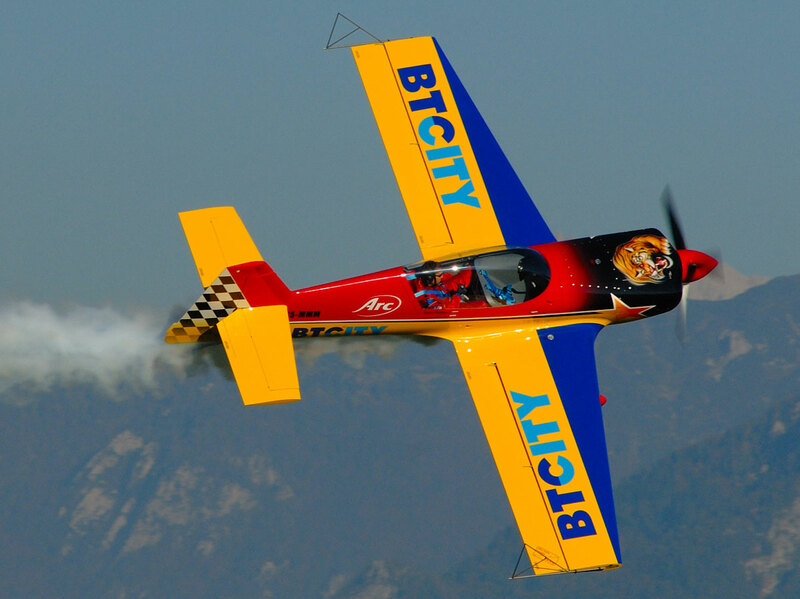 Visit BTC City Ljubljana and discover all the opportunities in one place. 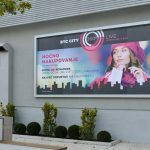 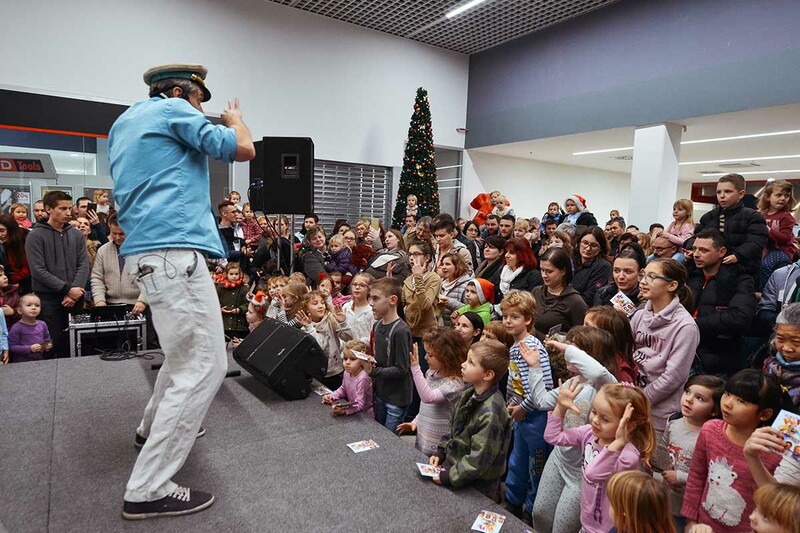 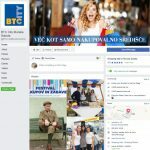 BTC City Novo mesto was the first centre in the Dolenjska region with a wide range of activities and services in a single location. 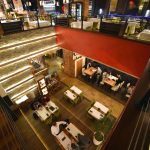 It houses a plethora of shops and a beauty salon, as well as a bank, post office, insurance company office and different catering facilities. 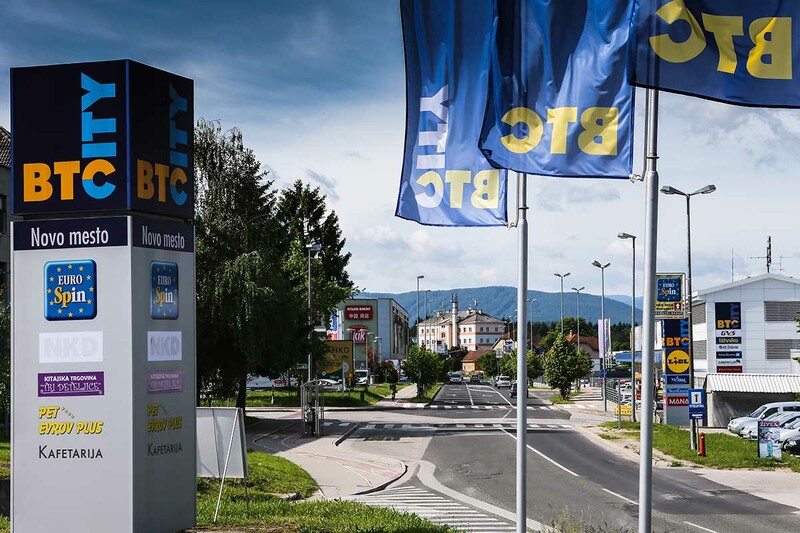 The BTC Novo mesto logistics centre in nearby Češča vas has been operating since 1974. 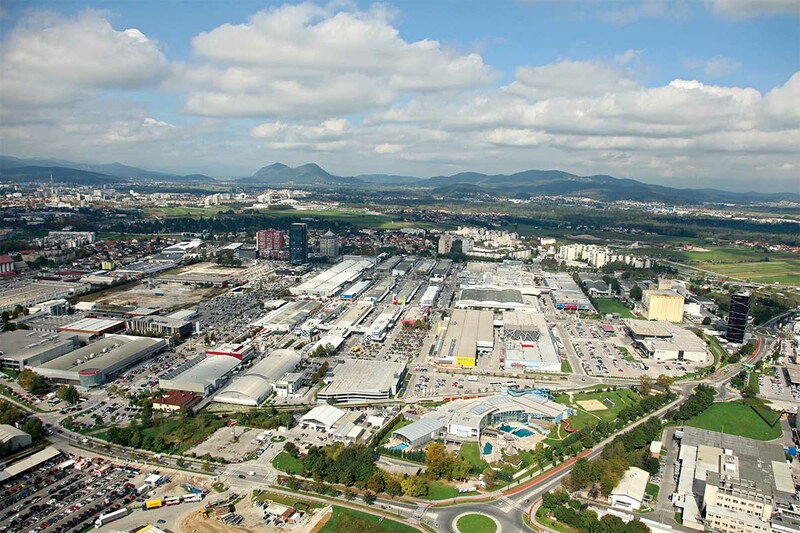 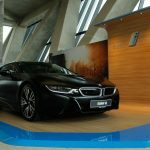 Its 15,500 m2 space has grown into the central distribution and logistics centre in the Novo mesto region and is increasingly becoming a key part of different supply chains in the automotive and other processing industries. 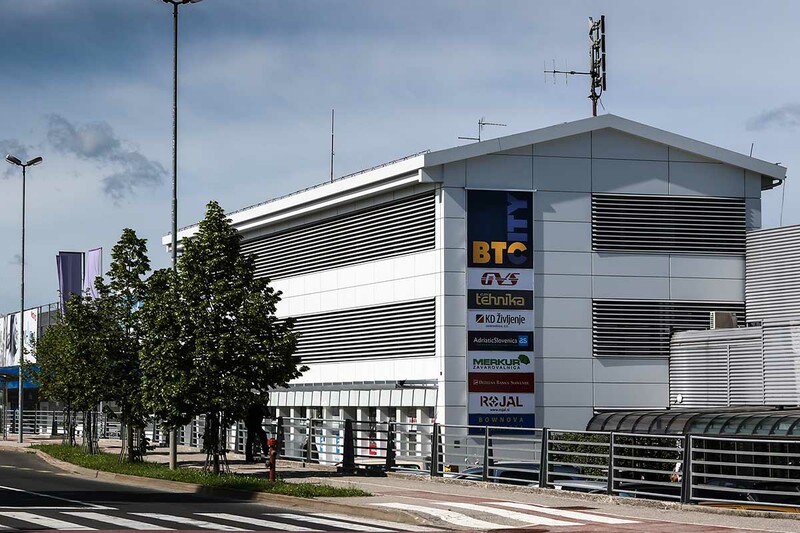 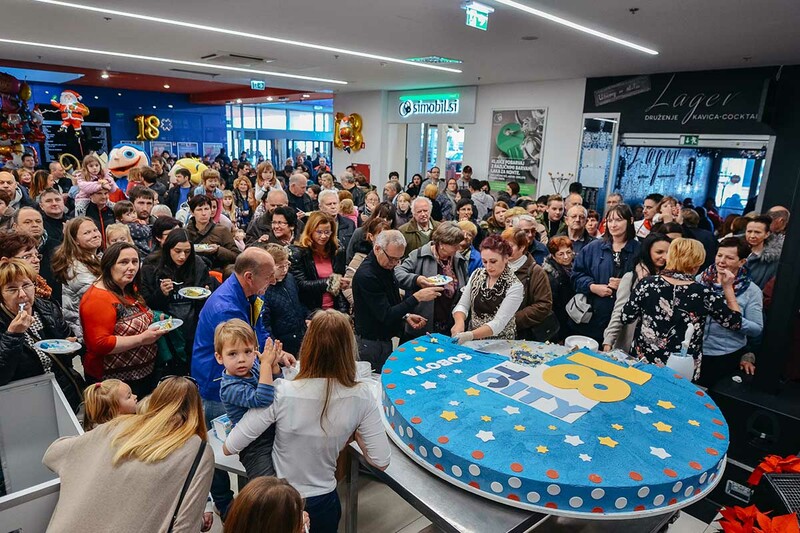 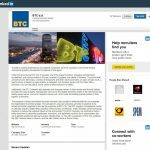 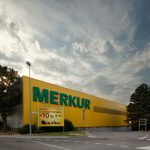 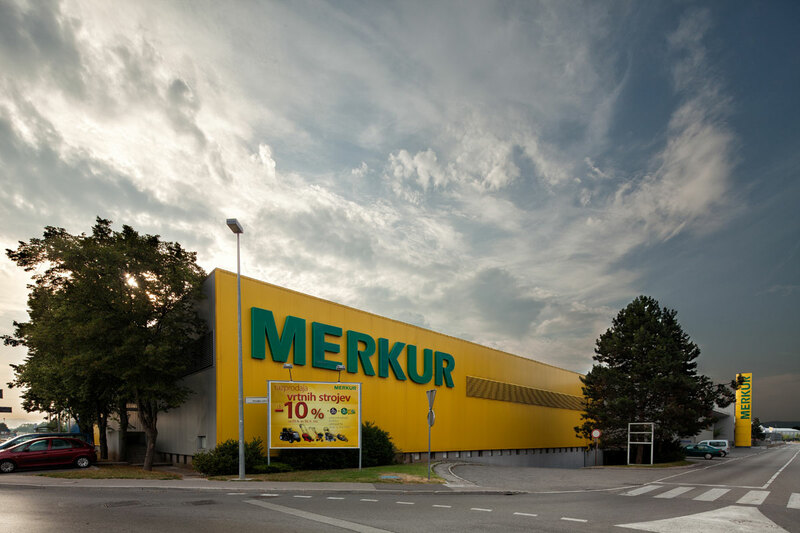 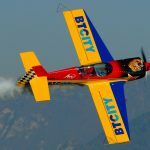 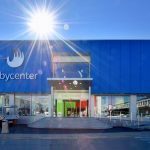 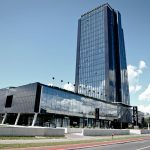 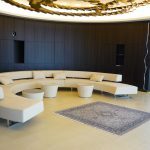 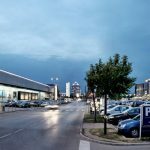 The BTC business unit in Murska Sobota was established in 1988 and developed into BTC City Murska Sobota – the foremost commercial centre in northeastern Slovenia, the Pomurje region. 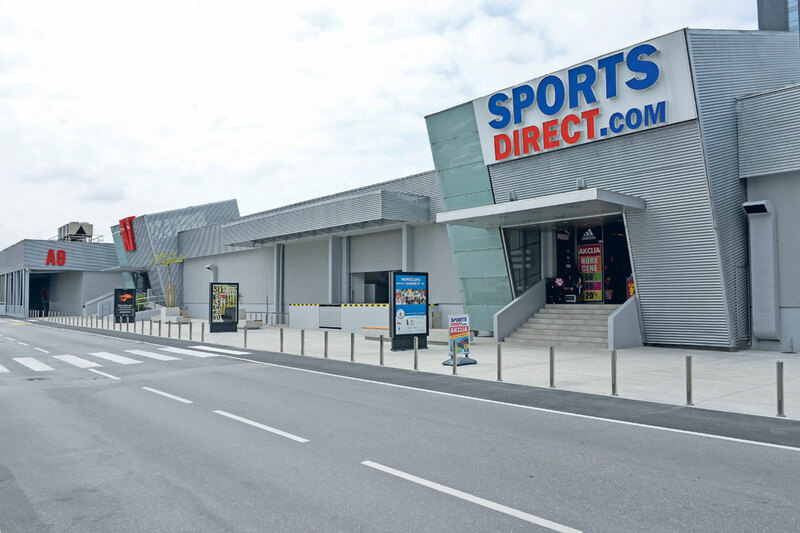 It houses 33 different shops, 4 catering facilities, a post office, pharmacy and an optician’s shop. 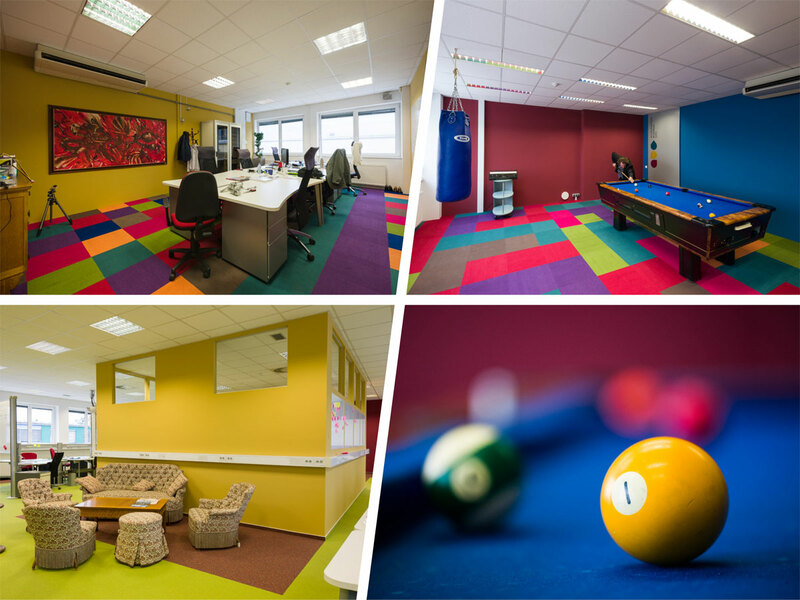 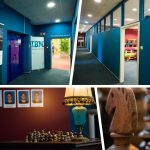 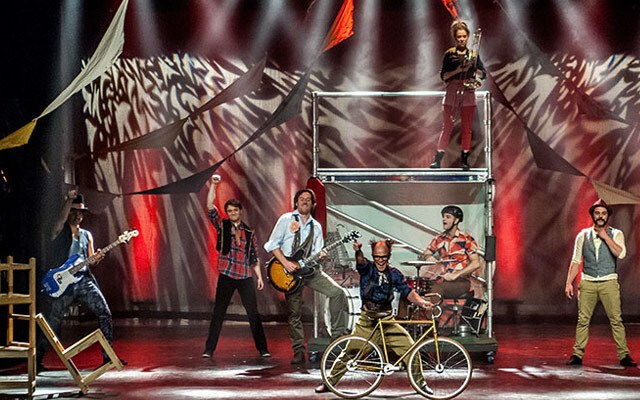 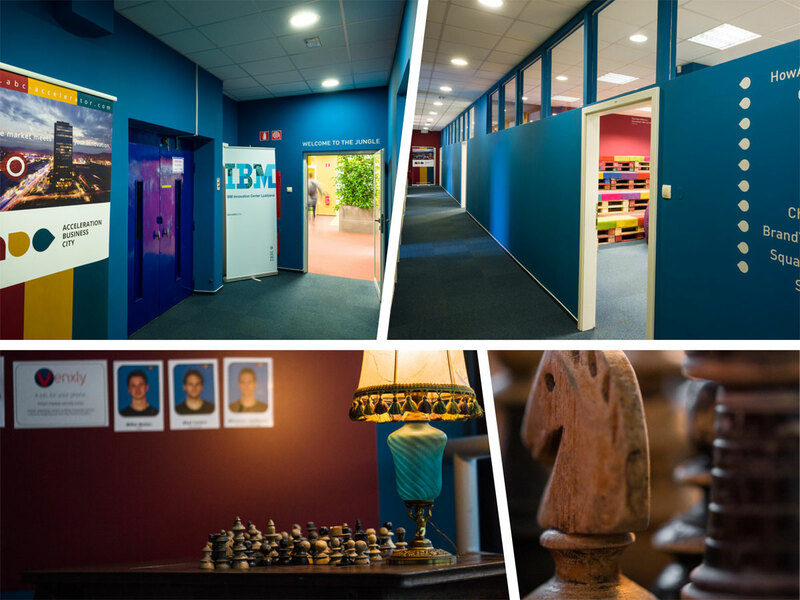 The centre is also a favorite with children due to its large playroom with a challenging climbing wall. 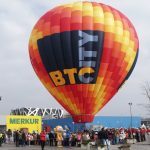 Proximity to national borders with Austria, Croatia and Hungary makes the BTC City Murska Sobota centre interesting for many visitors from abroad.